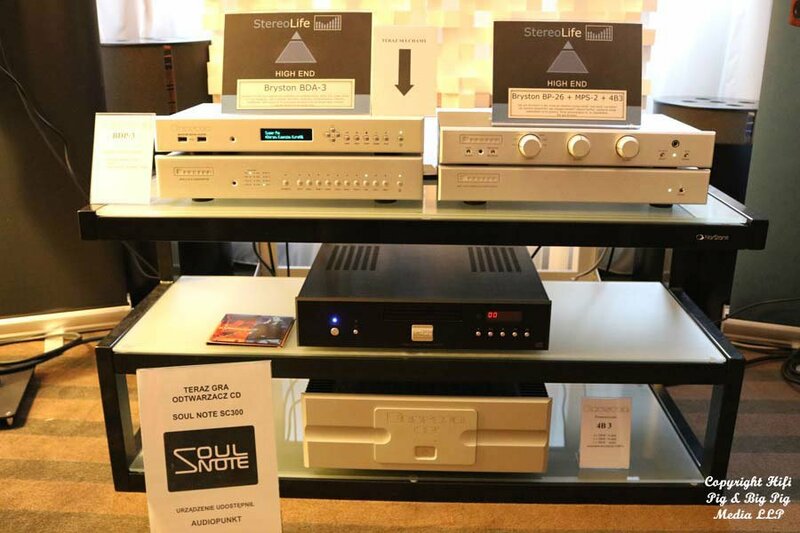 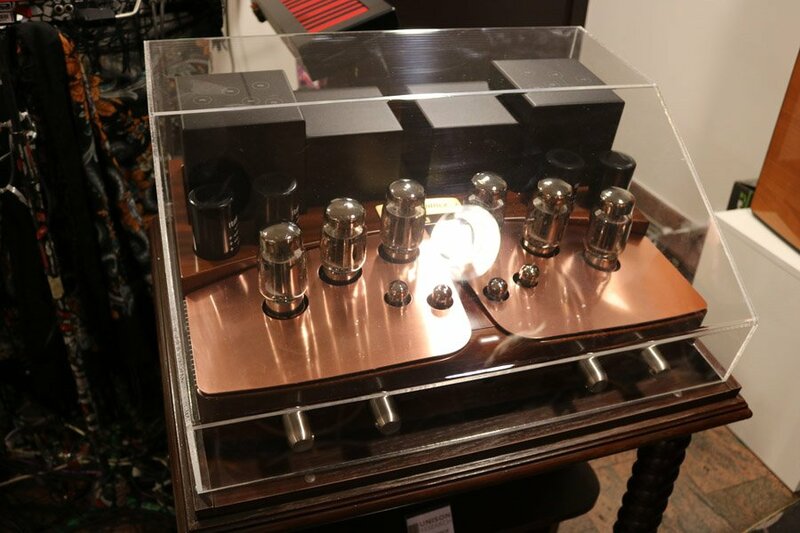 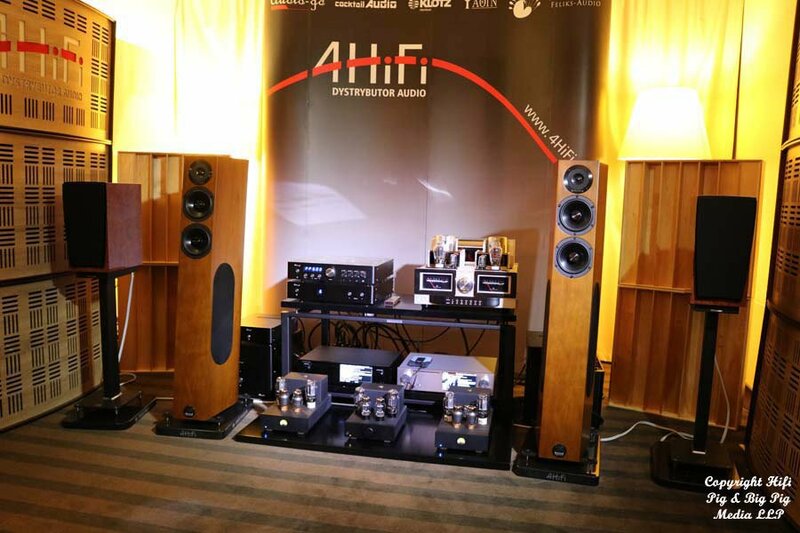 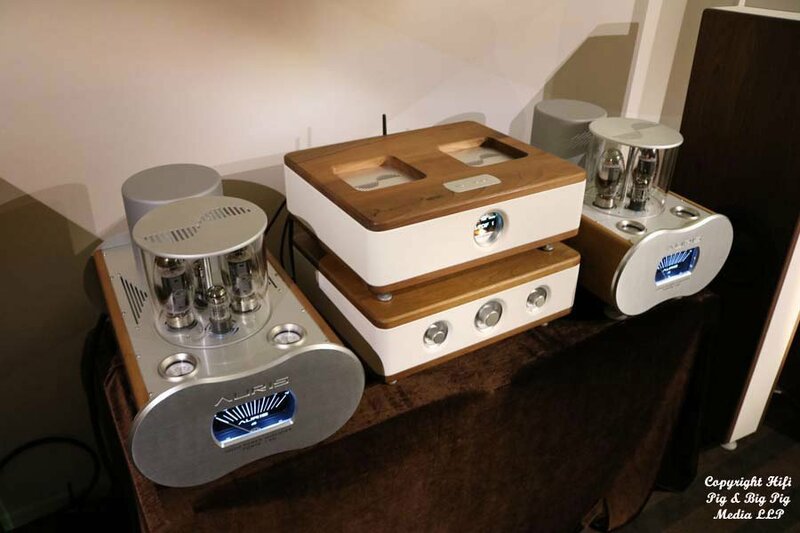 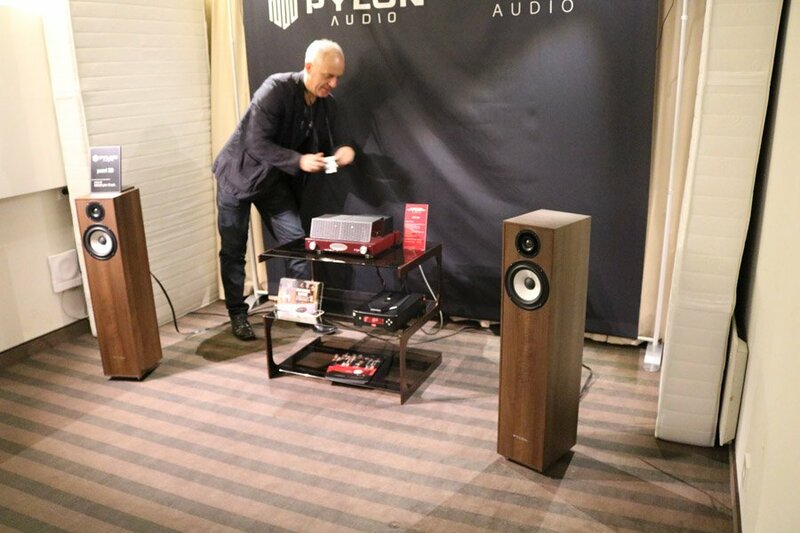 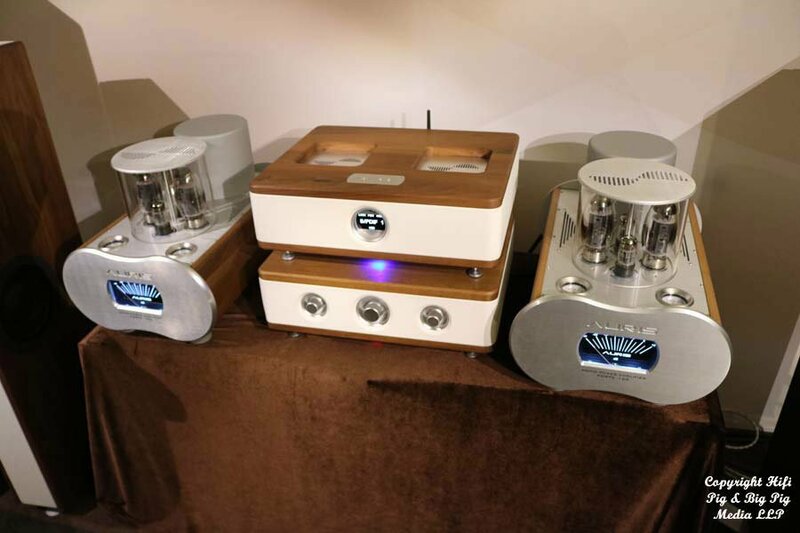 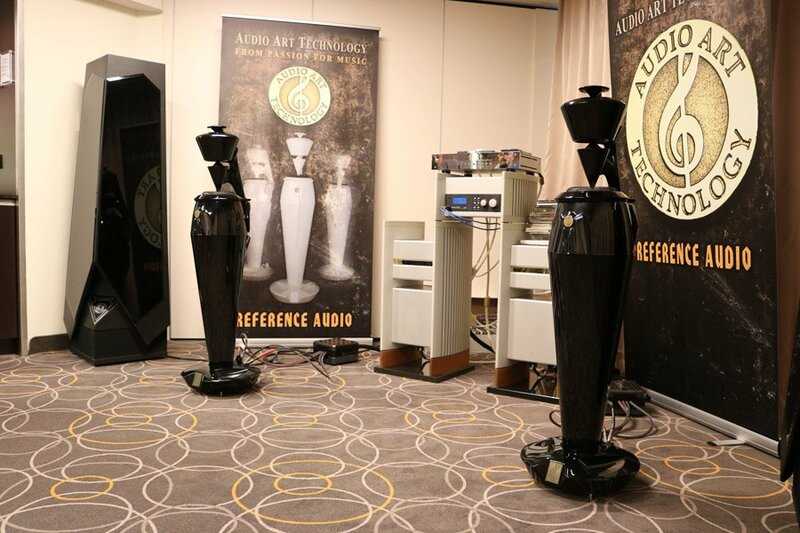 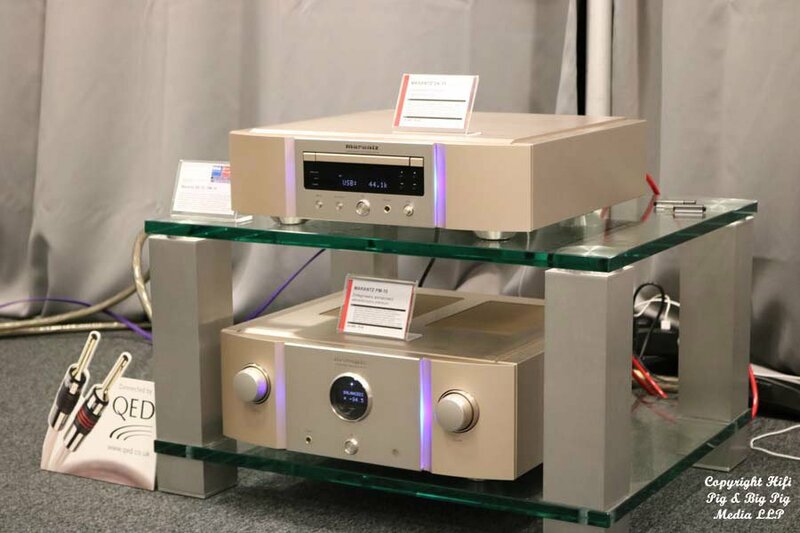 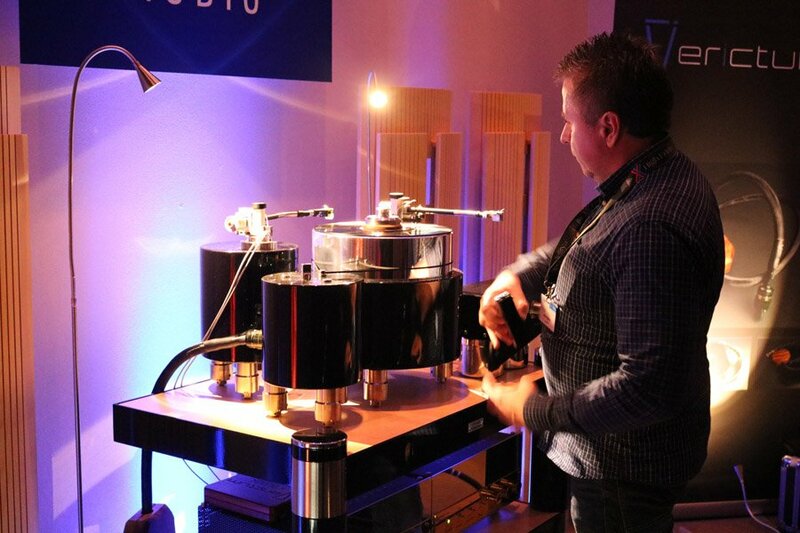 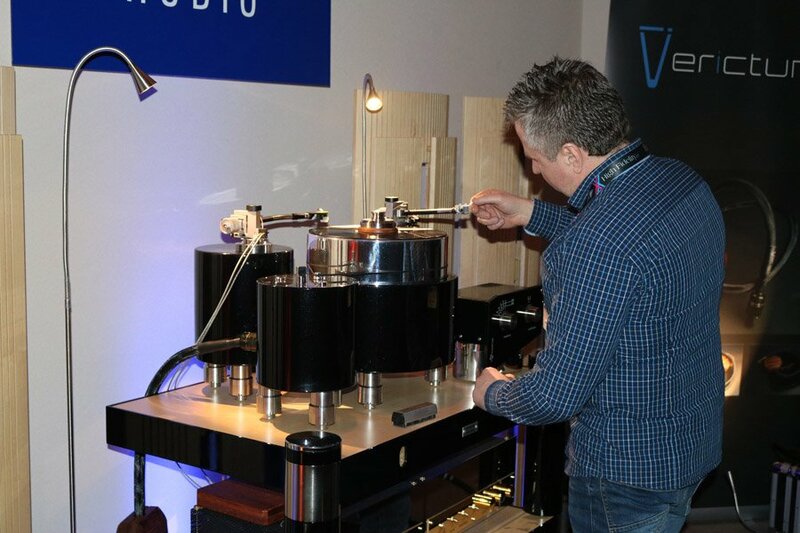 Part 3 of Stuart’s photo report from the Audio Video Show in Warsaw, Poland. 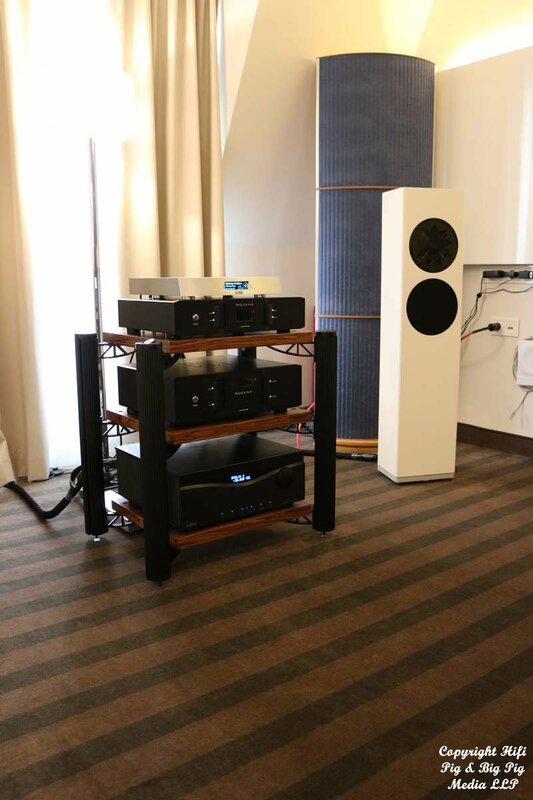 Marantz with QED cables and the fabulous, from what I’ve heard so far Q Acoustics Concept 500 loudspeakers. 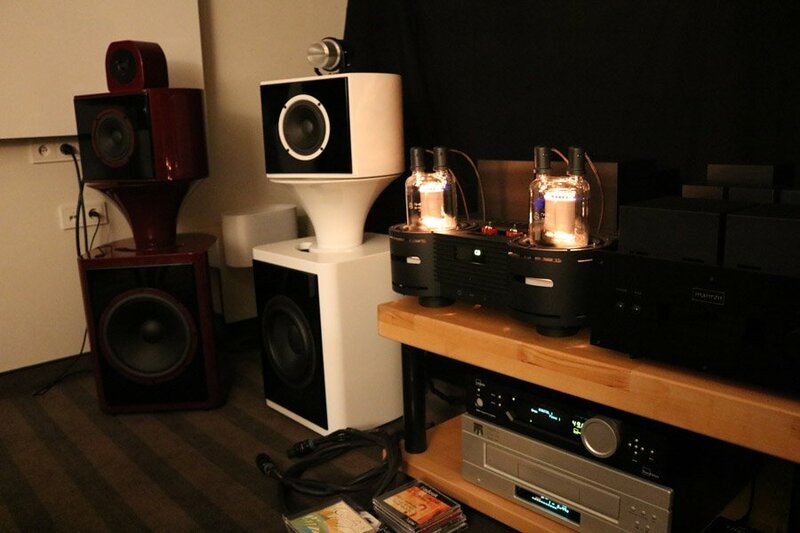 The RCM room was a veritable smorgasbord of high-end audio. 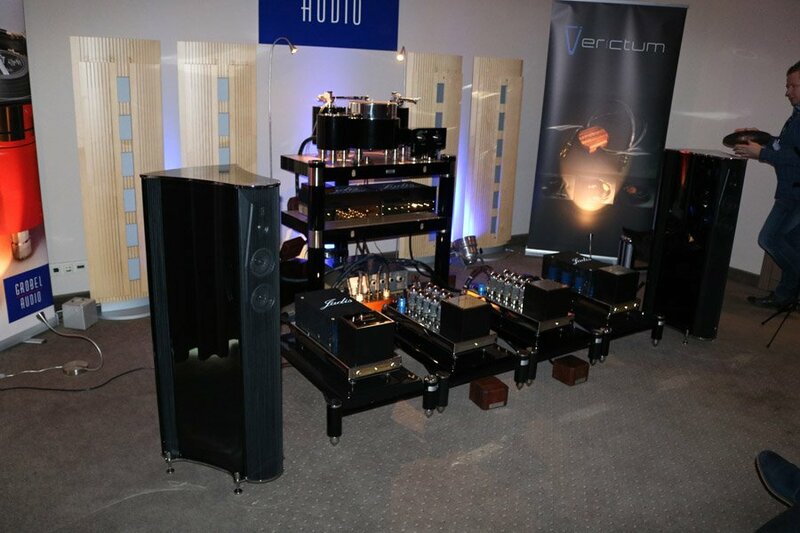 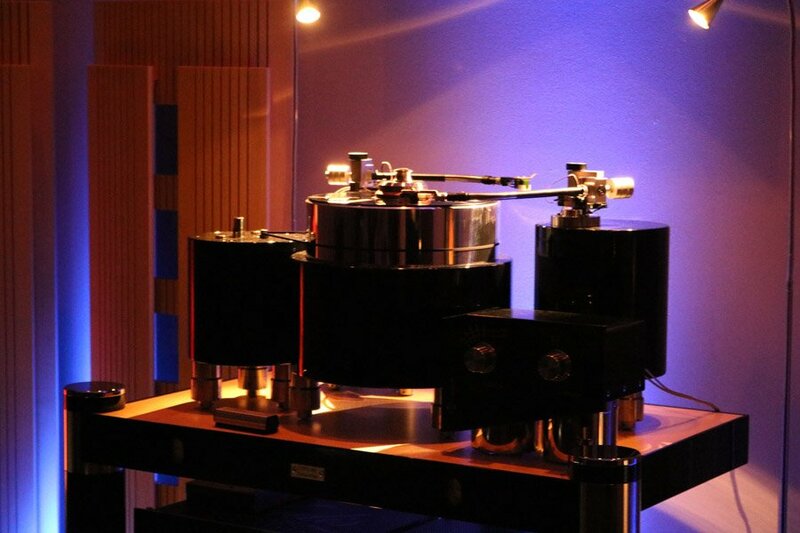 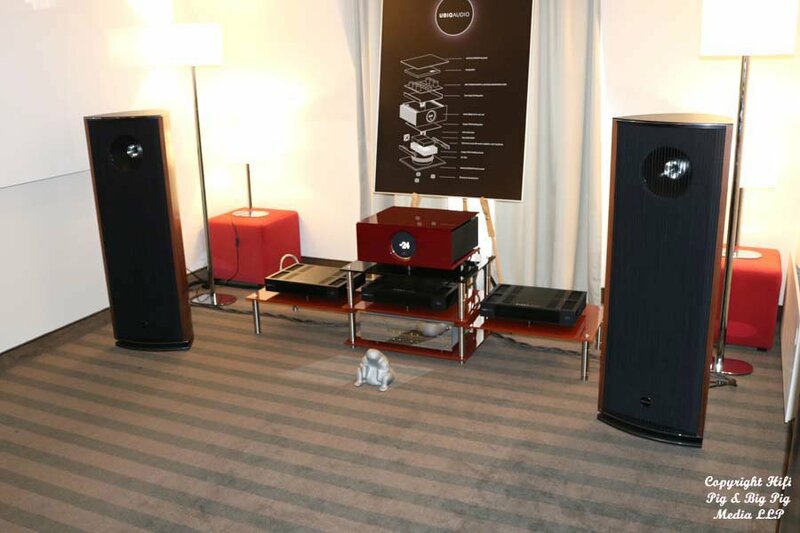 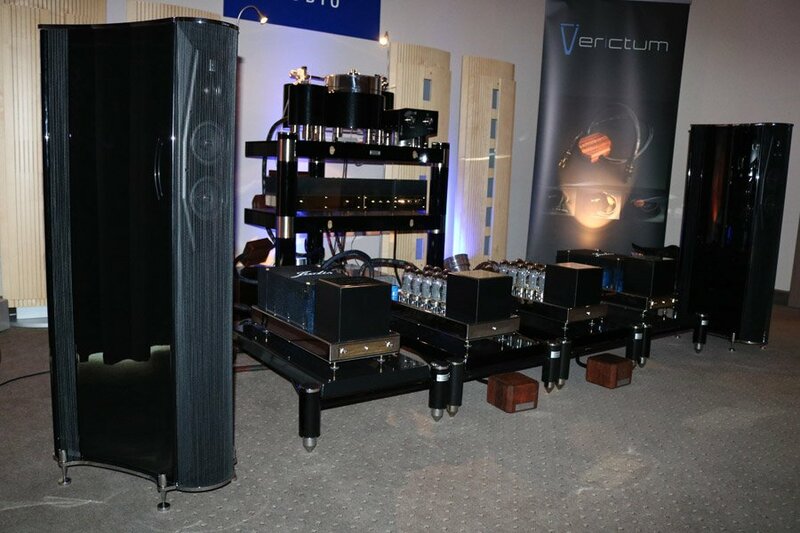 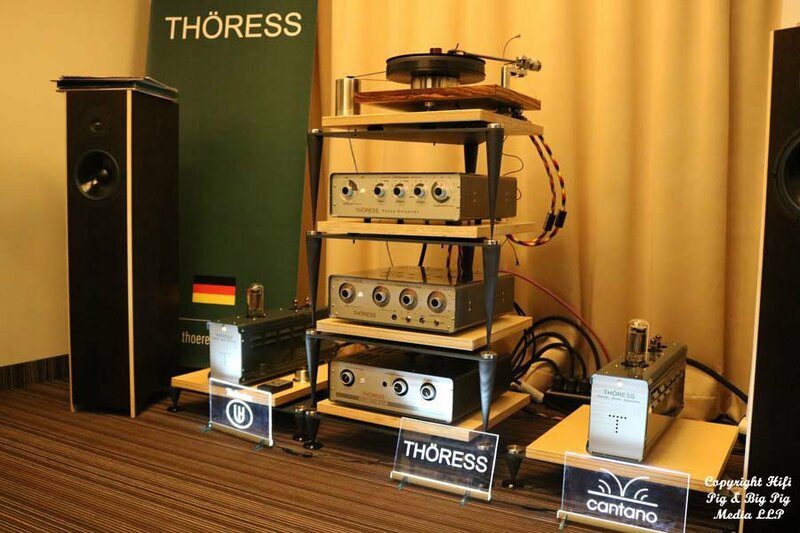 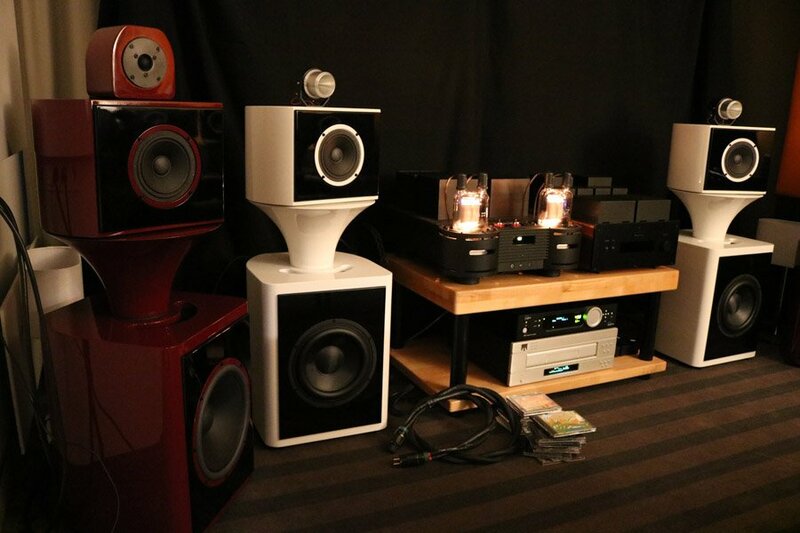 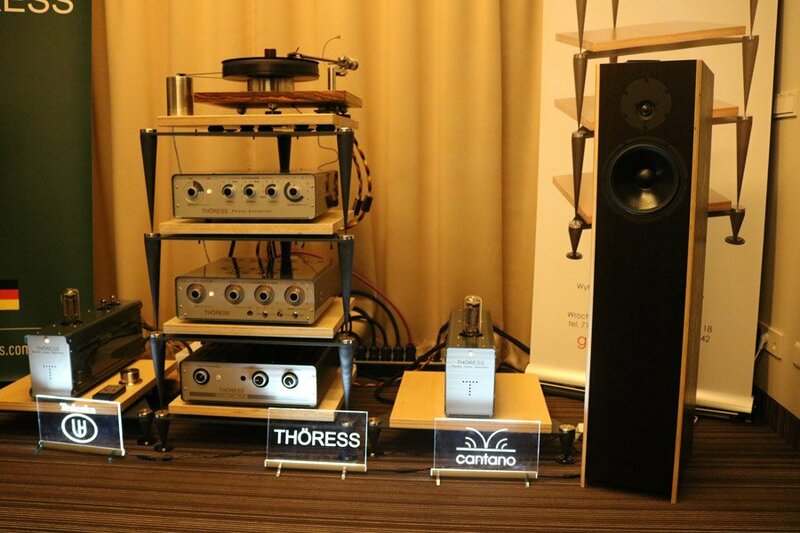 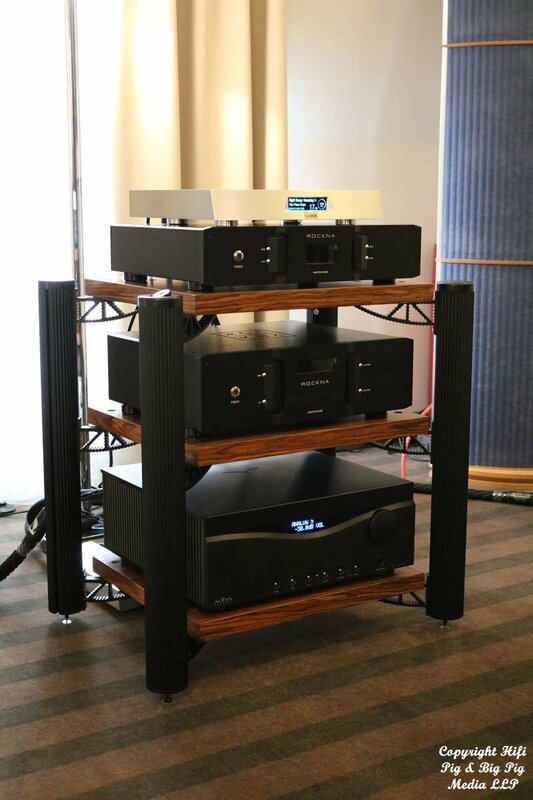 Vitus Audio amps, Tech Das, Kuzma and Dr Feickert turntables, CEC CD players and Gauder Akustik speakers. 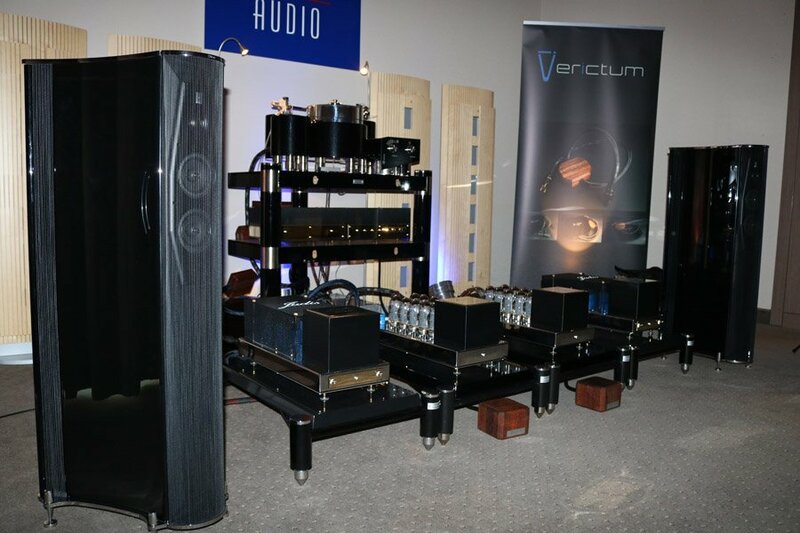 More from the RCM distribution room with Alluxity electronics and some rather splendid looking horns from Odeon Audio. 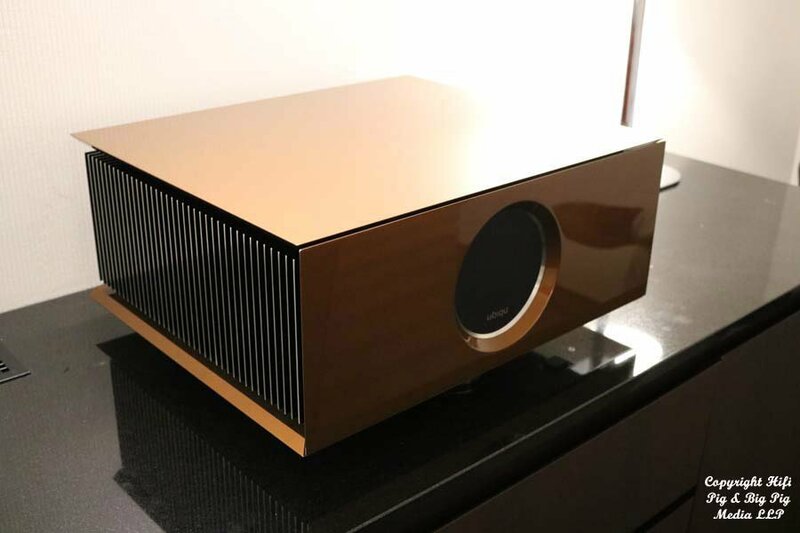 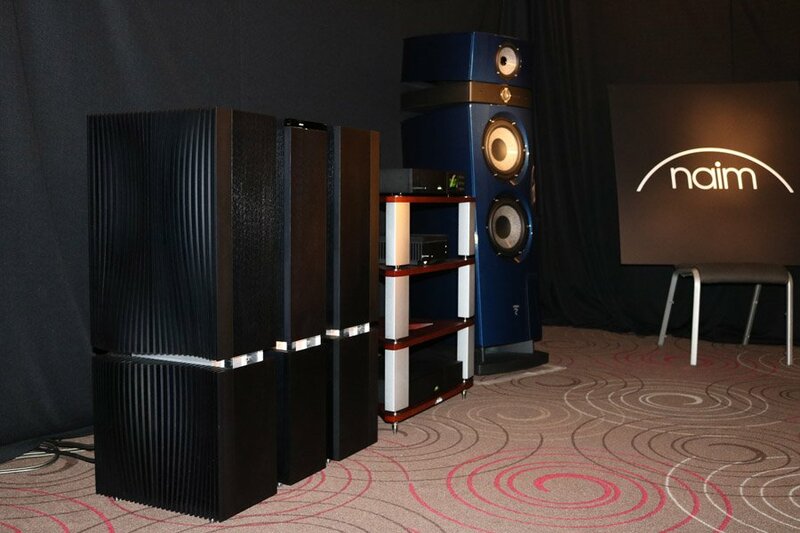 Naim and Focal making a statement. 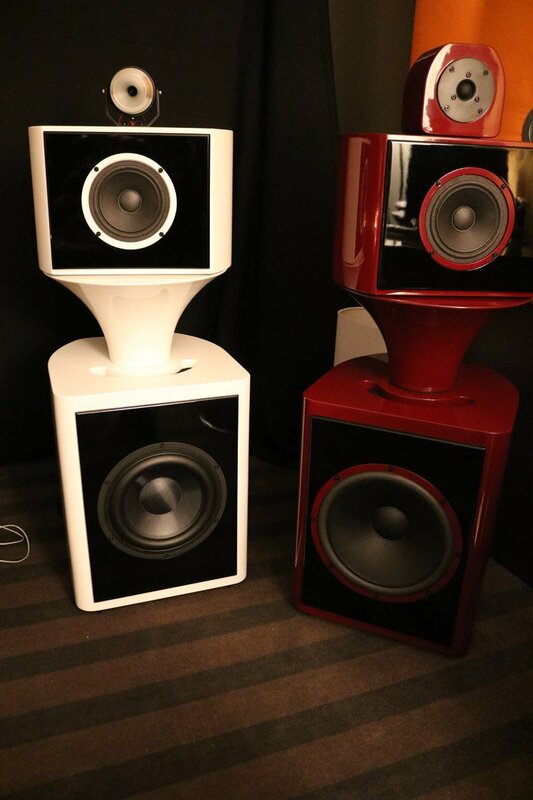 These were an interesting loudspeaker that we spied in both white and black. 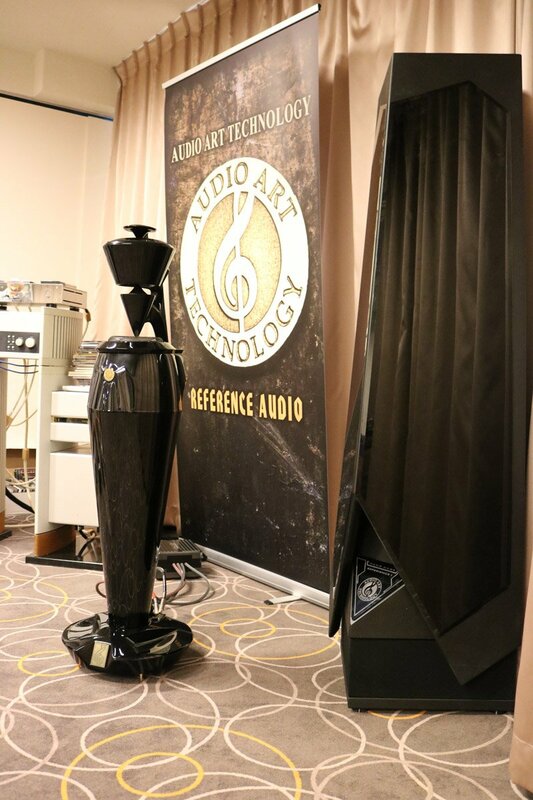 They are by Audio Art Technology who are based in Banbury in Oxford, UK and here we have the Experience II sub and Ventris main loudspeaker. 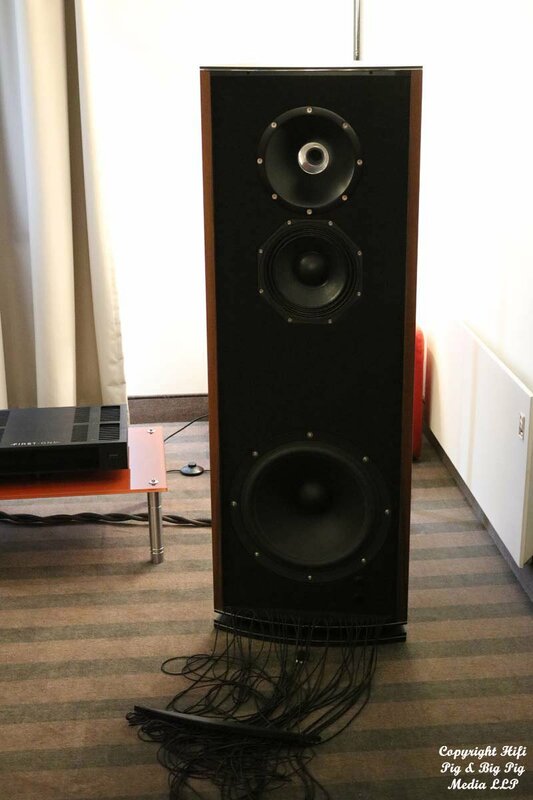 These were a very natural sounding loudspeaker and a joy to listen to. 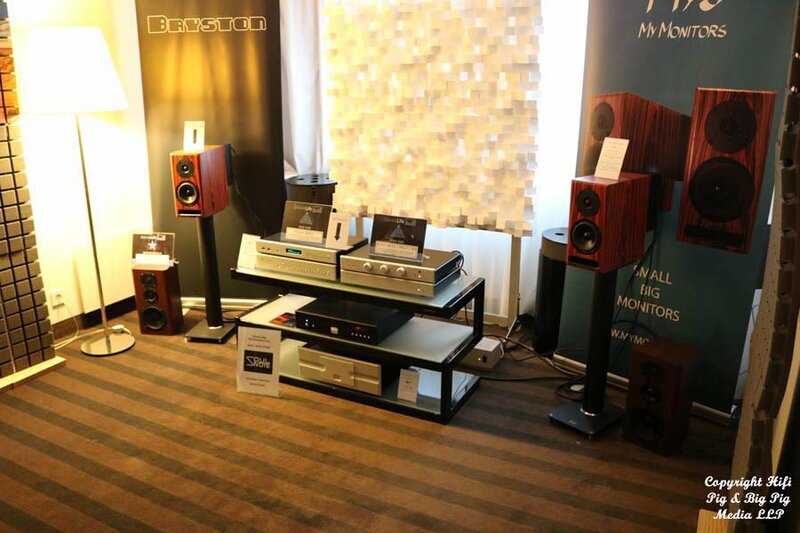 This is another room that we really enjoyed. 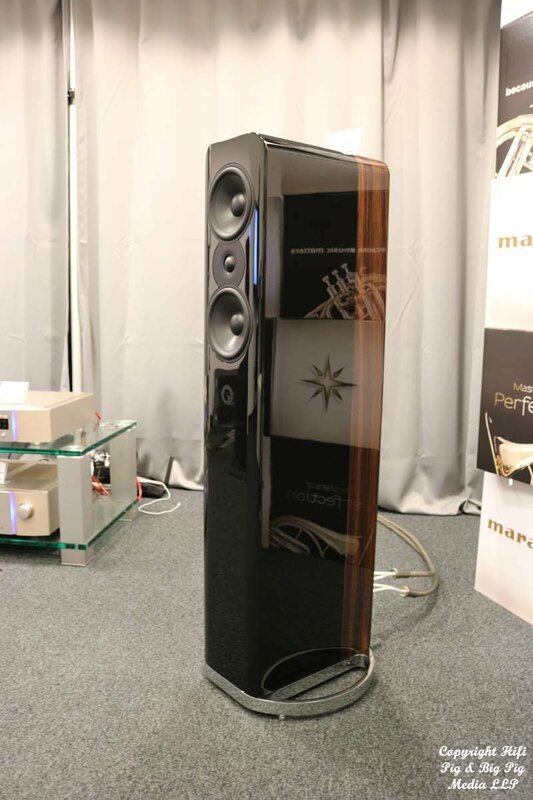 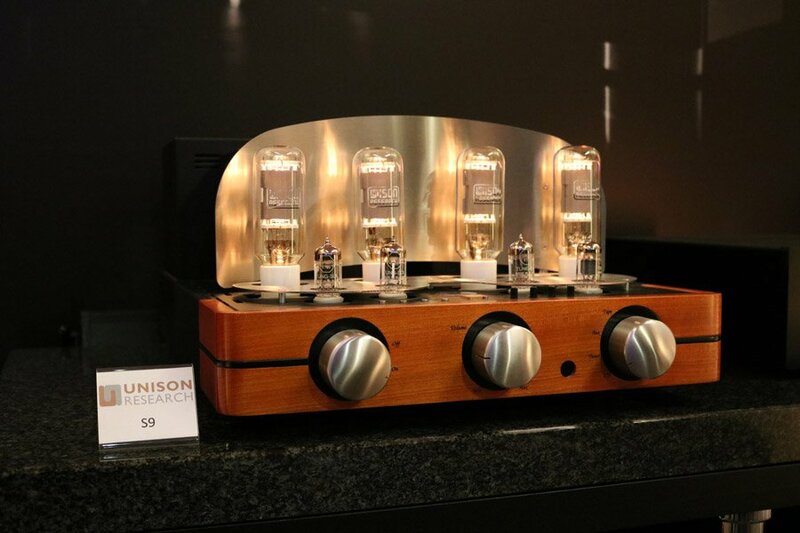 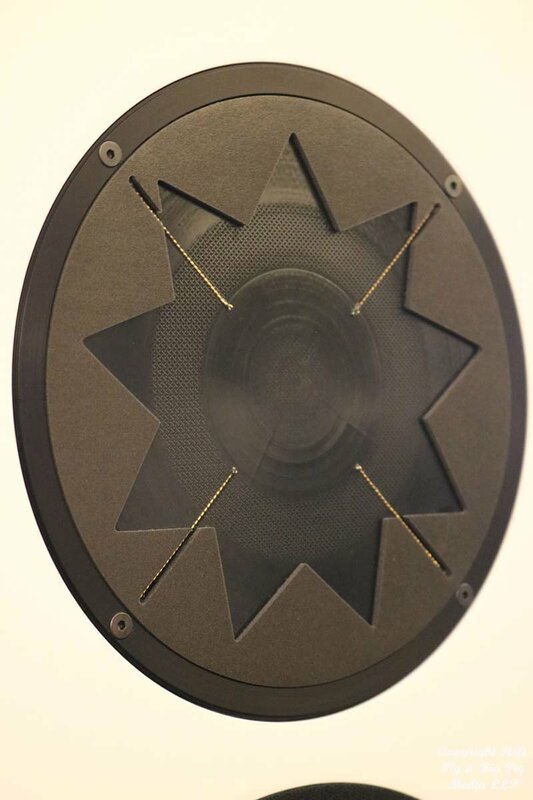 It’s a Polish company called Manron and they make both the speakers and the amplifier you see. 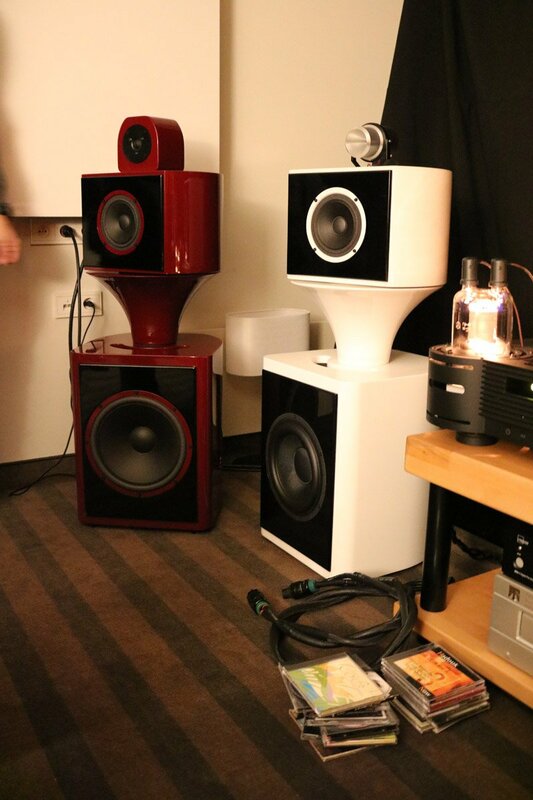 They are certainly an unusual design, but one that certainly worked in this fairly cramped room. 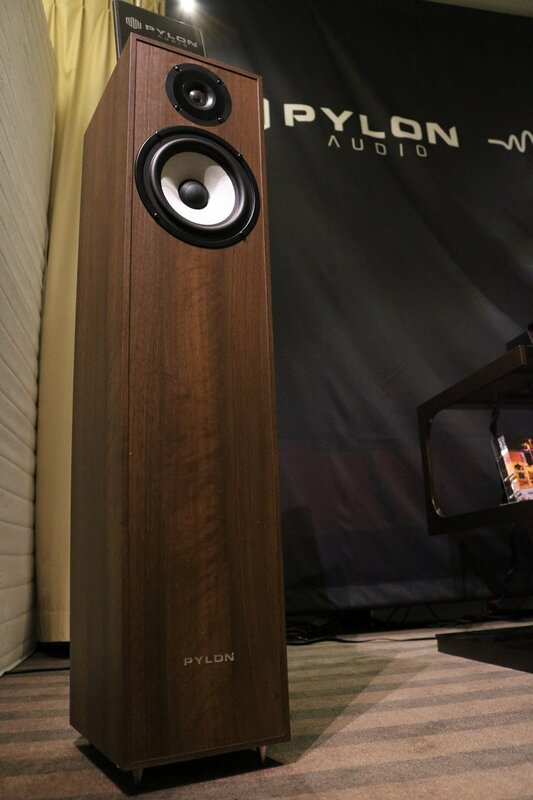 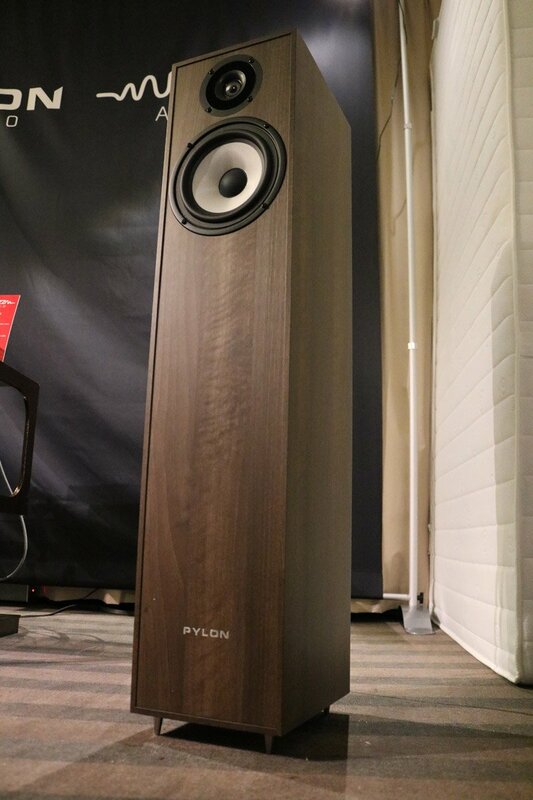 Pylon Audio are another company that are proving that you don’t need to spend masses of money to get decent music reproduction in the home. 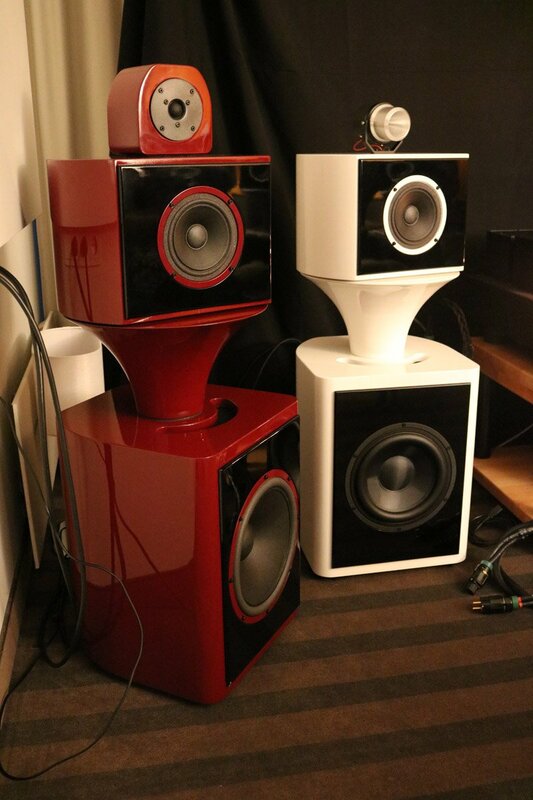 The speakers pictured are £250, or there abouts. 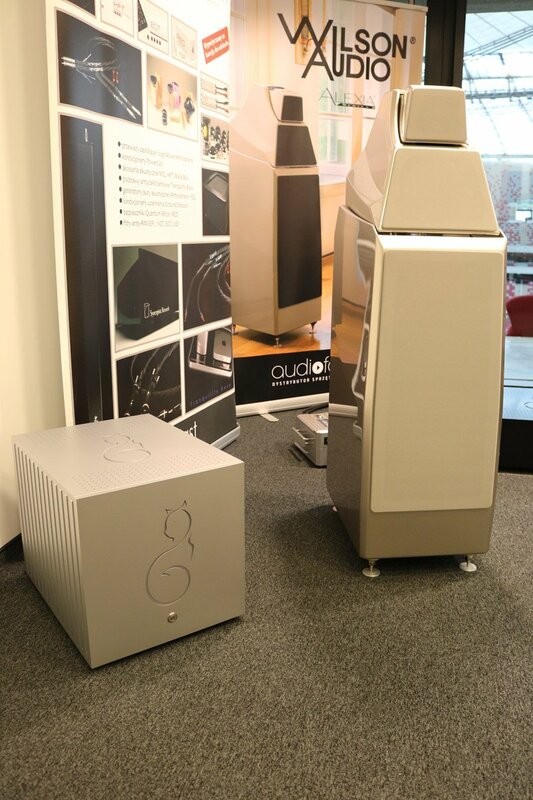 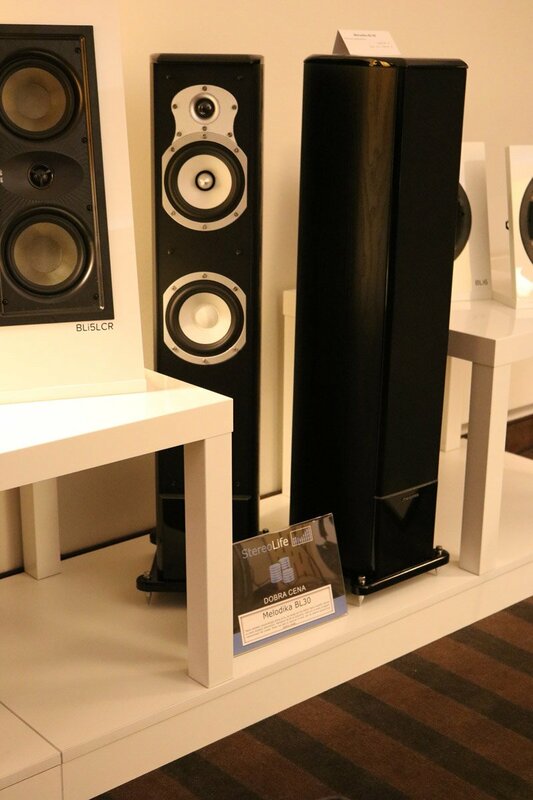 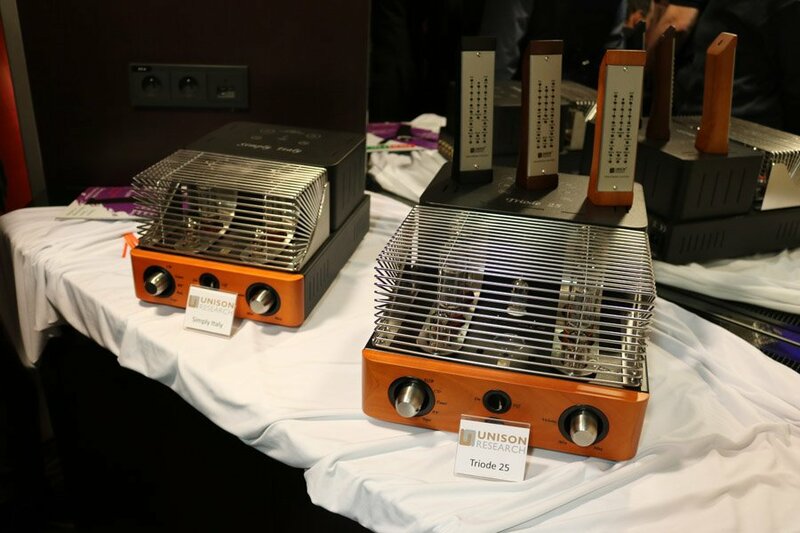 This is Ubiq Audio and the speakers are their Model One. 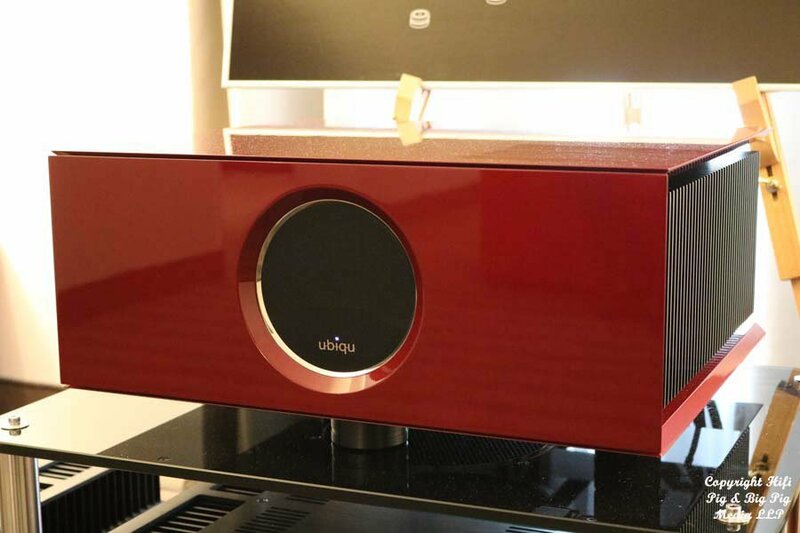 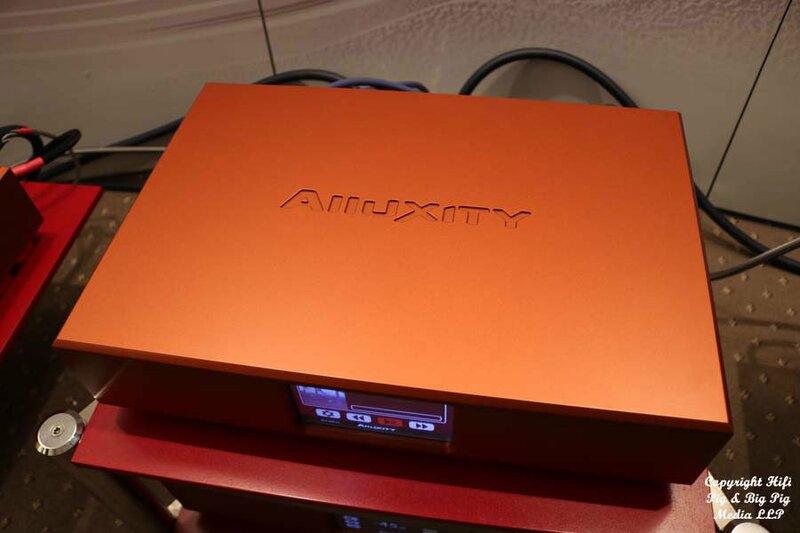 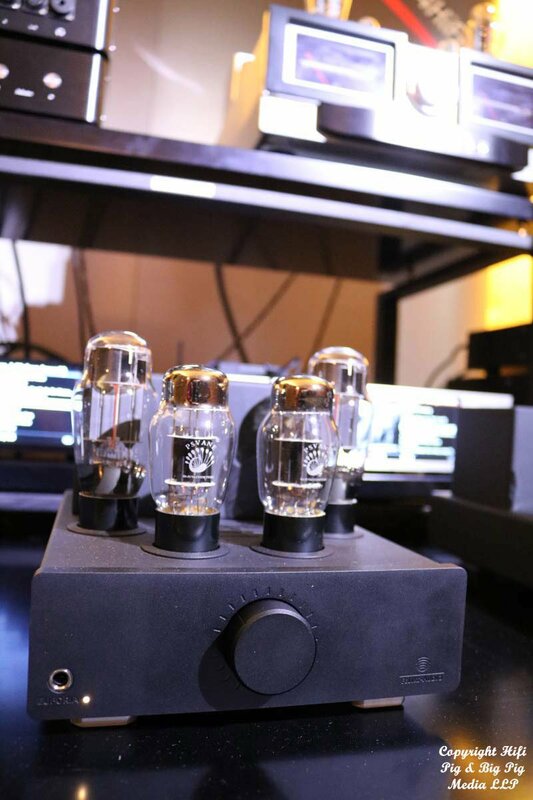 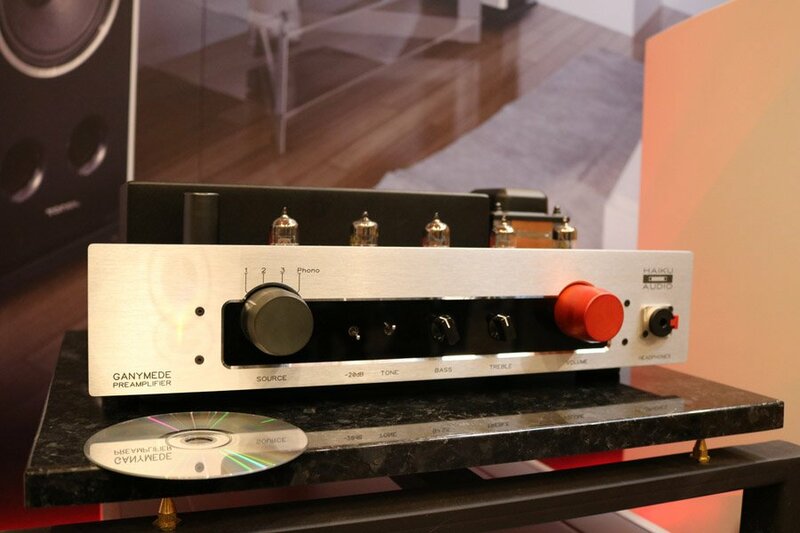 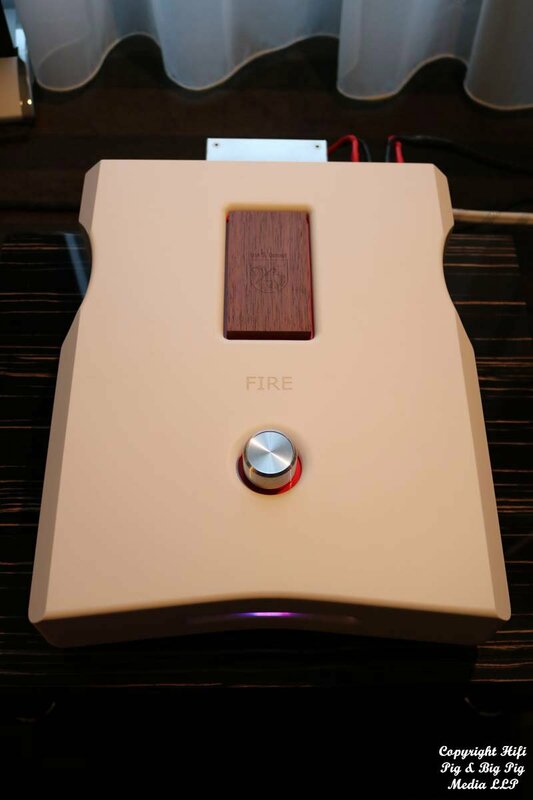 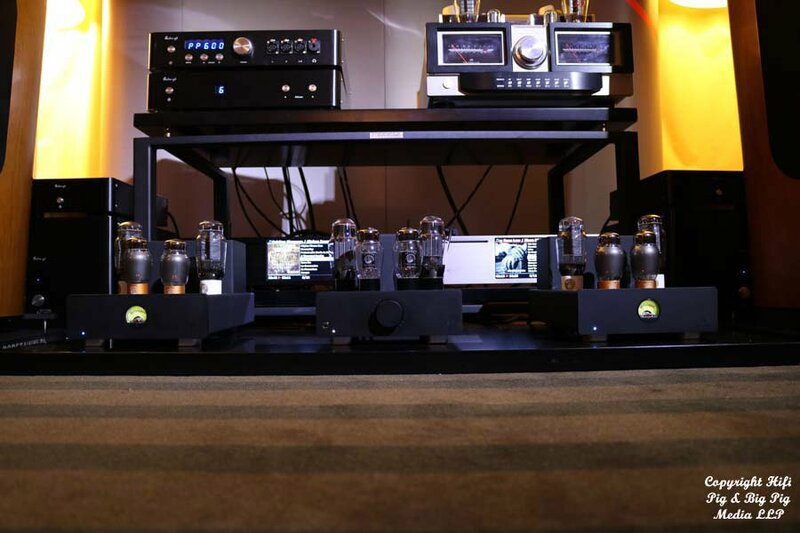 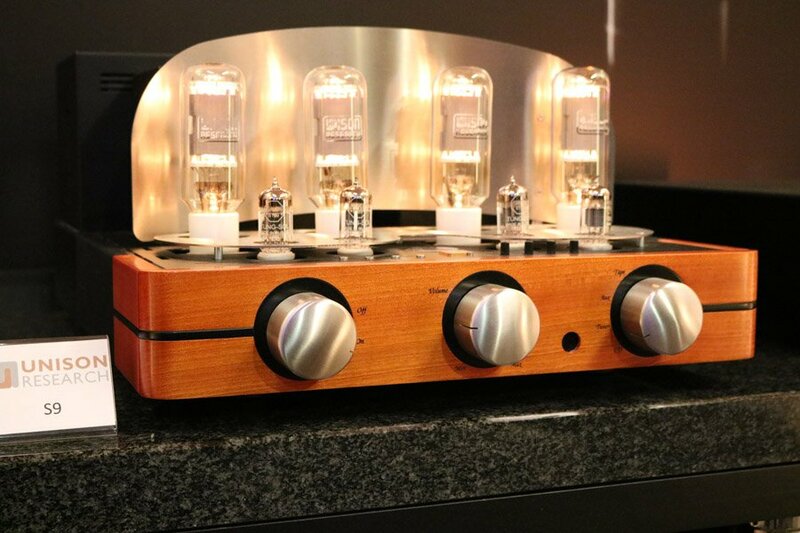 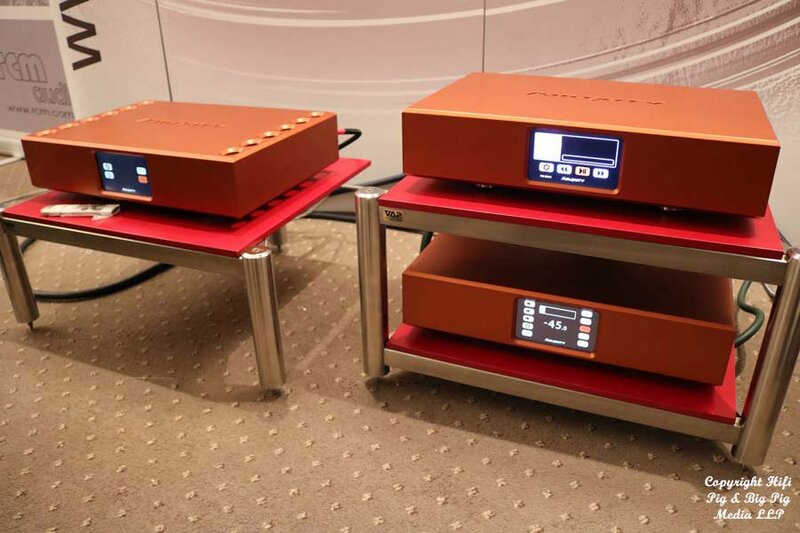 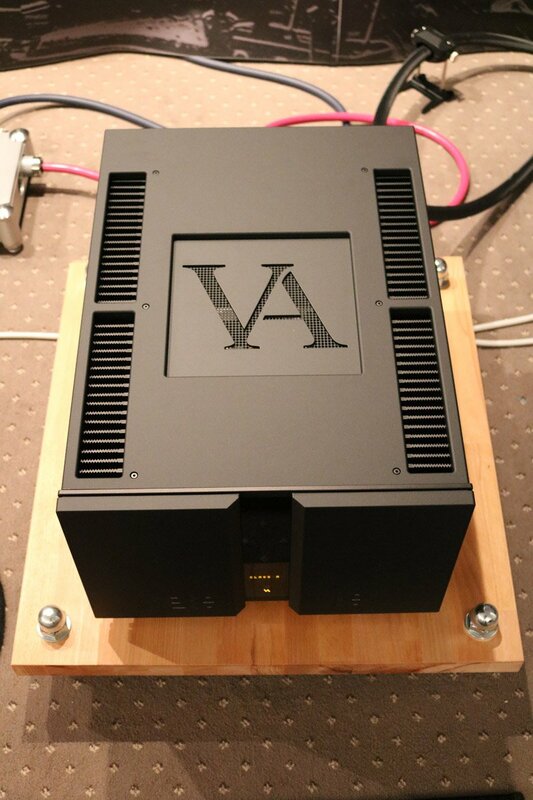 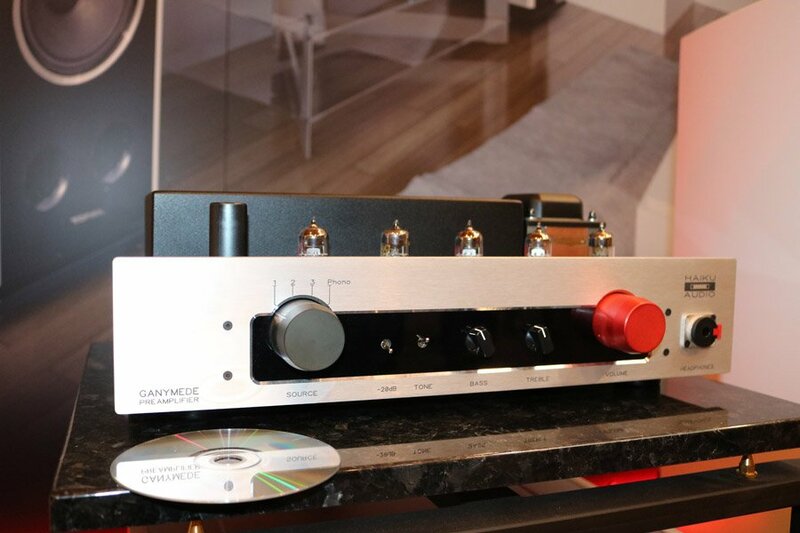 The Ubiqu box you see in red centre stage is the company’s hybrid integrated amplifier. 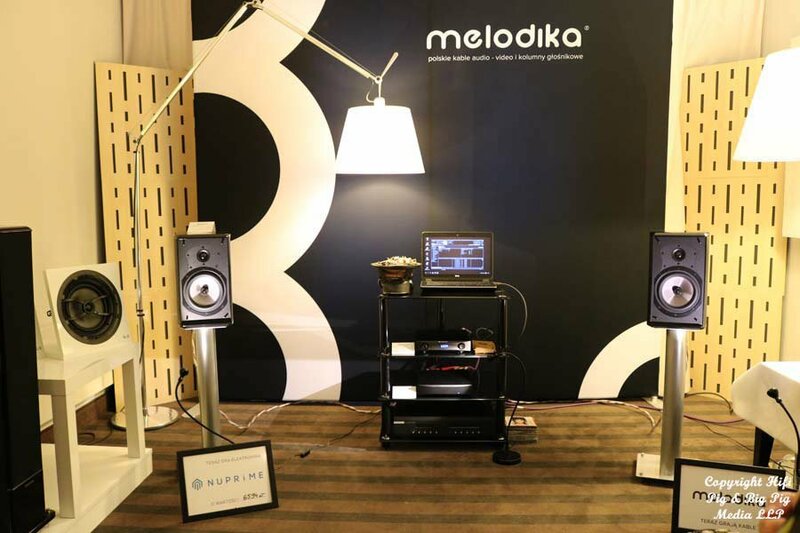 Polish brand Melodika make a range of cables and loudspeakers at very reasonable price points. 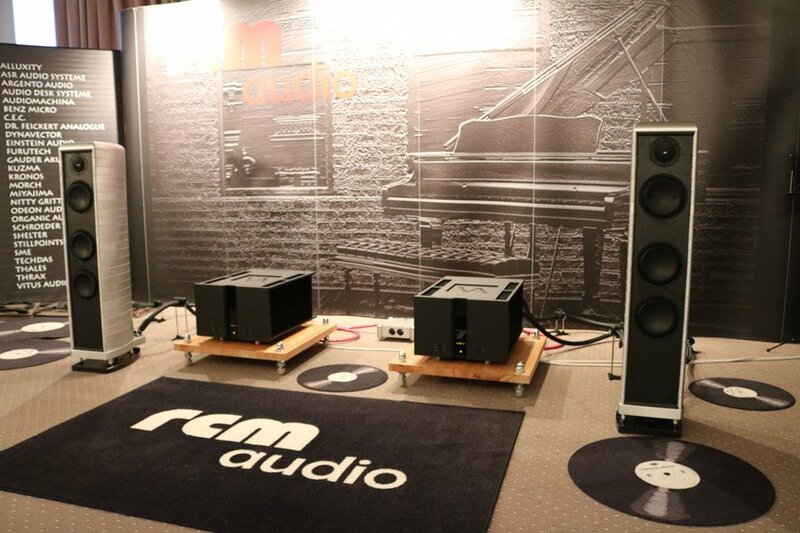 The lovely Manger room with Rockna Wavedream DAC and Wavedream NET “transport”. 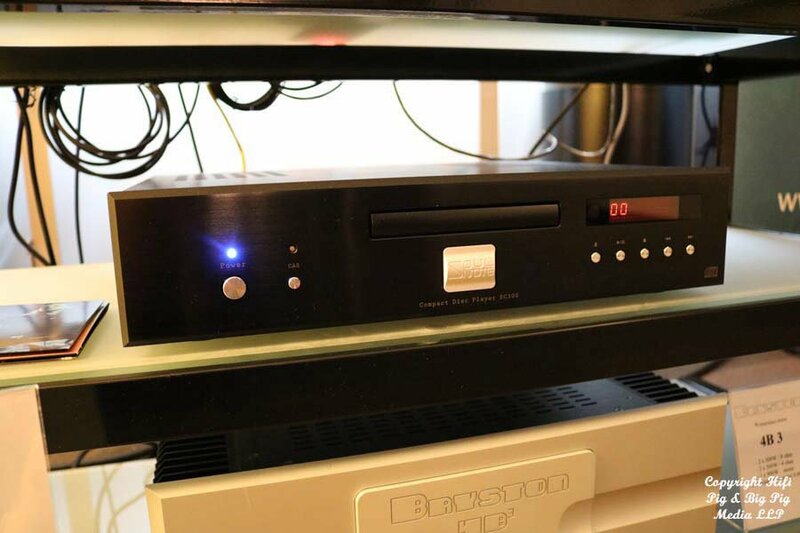 The excellent Soul Note compact disc player along with Bryston electronics powering My Monitor loudspeakers. 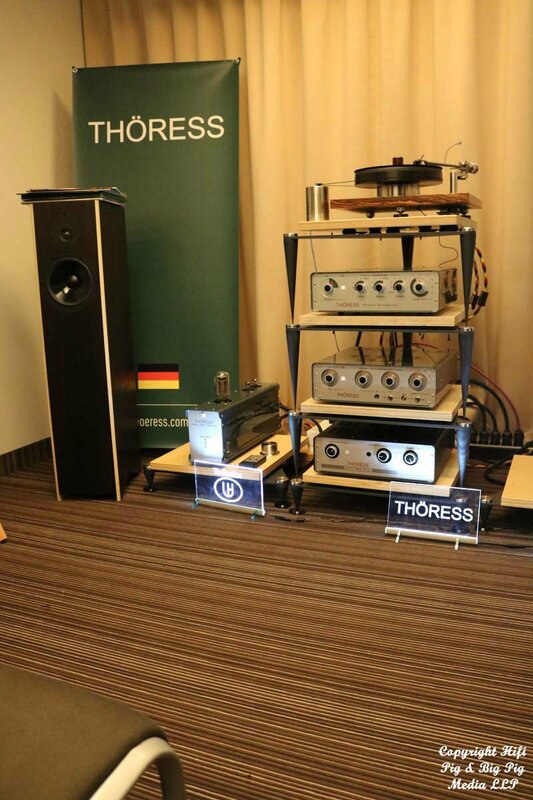 Thoress make what I think are some of the most wonderful looking electronics, i just love their retro vibe. 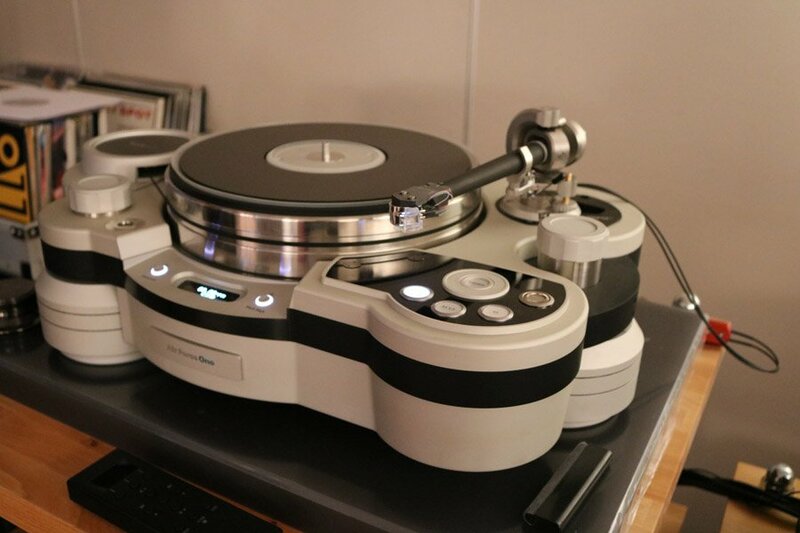 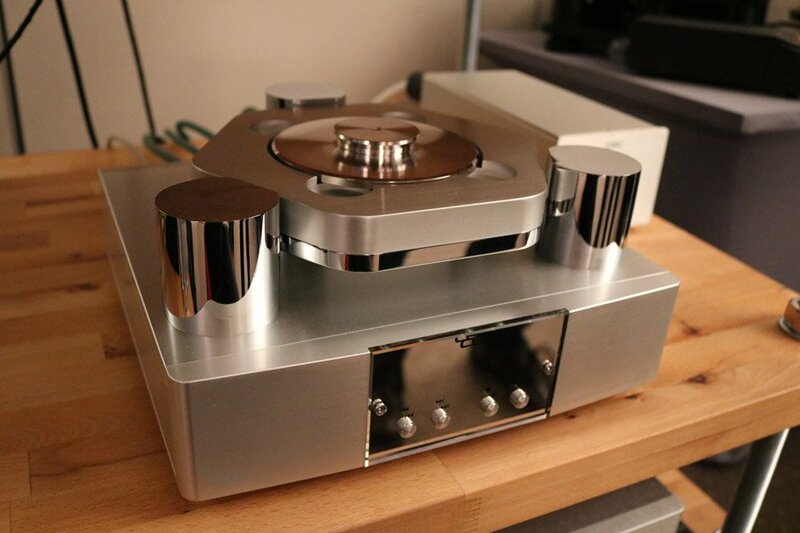 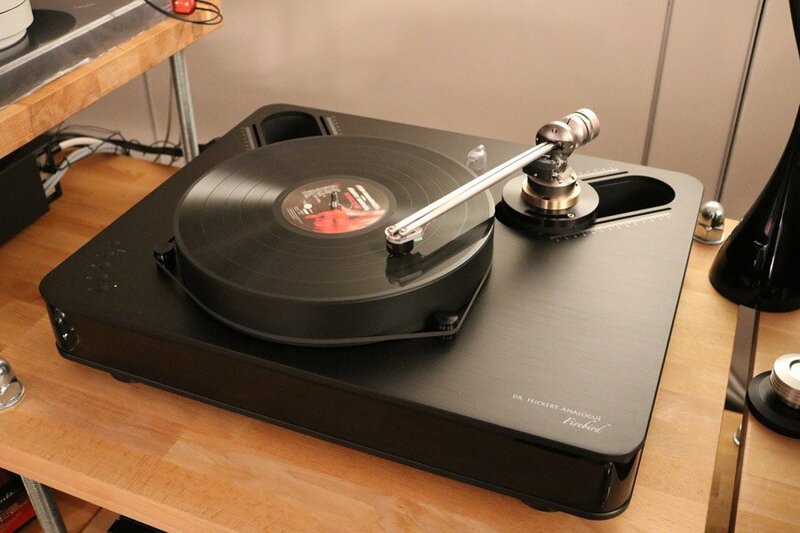 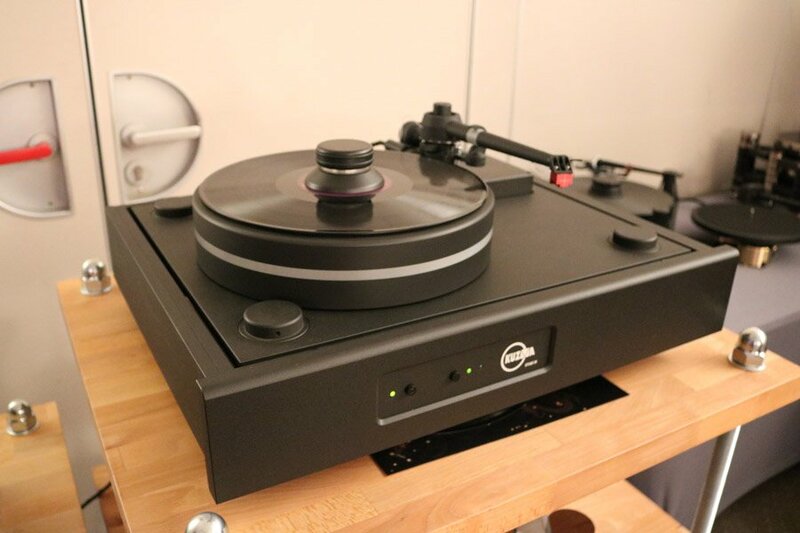 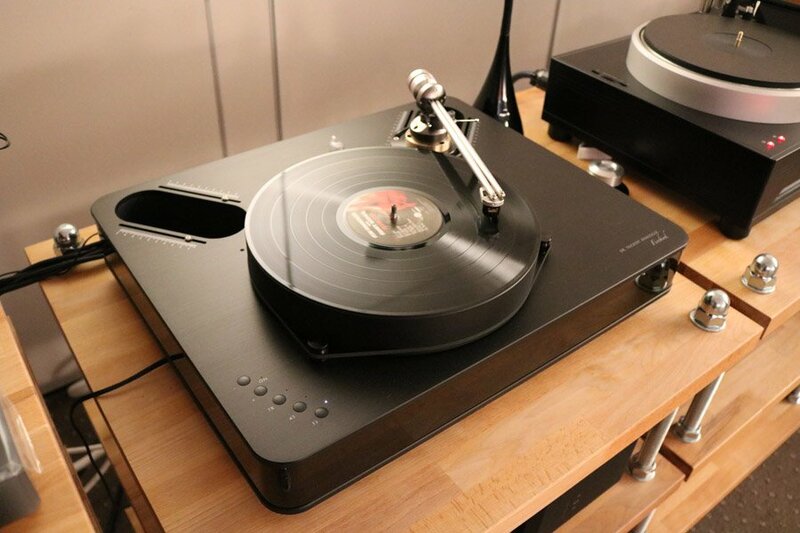 The turntable is made in Berlin, Germany by Cantano. 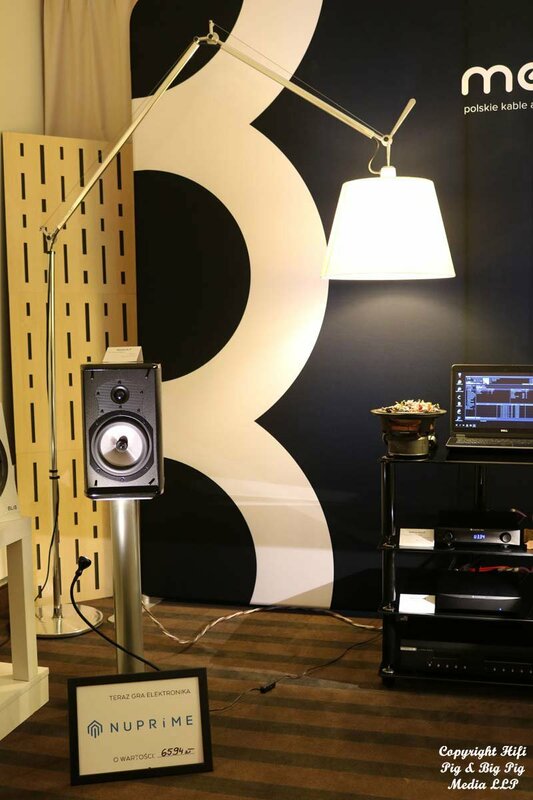 We were in this room in the early hours of the morning before the show opened drinking vodka with the guys. 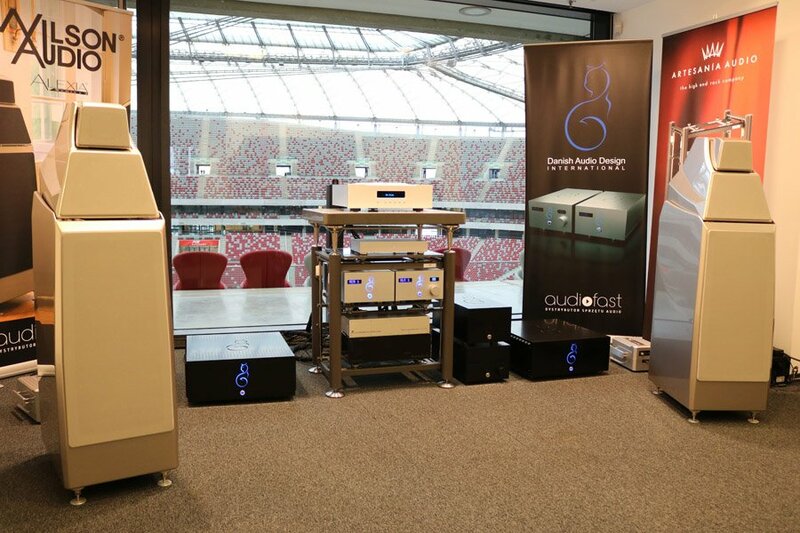 Meanwhile back at the stadium, Danish Audio Design and Wilson Audio. 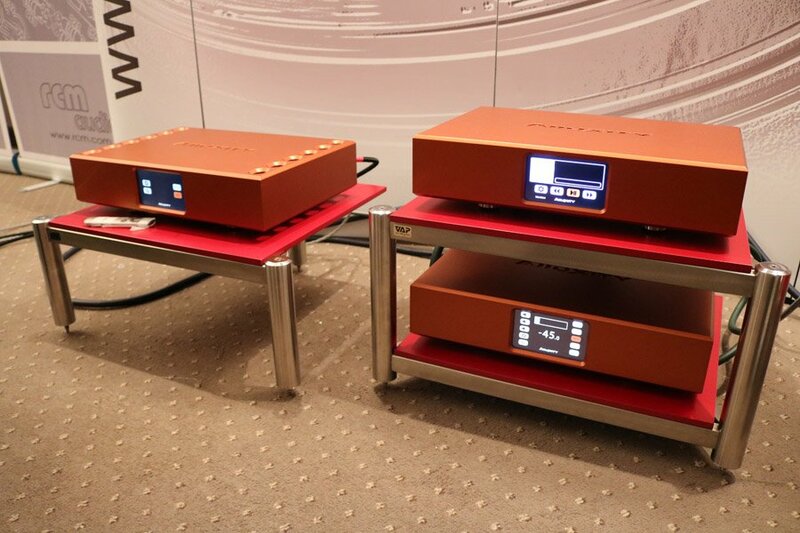 The stands are by Artesania Audio from Spain. 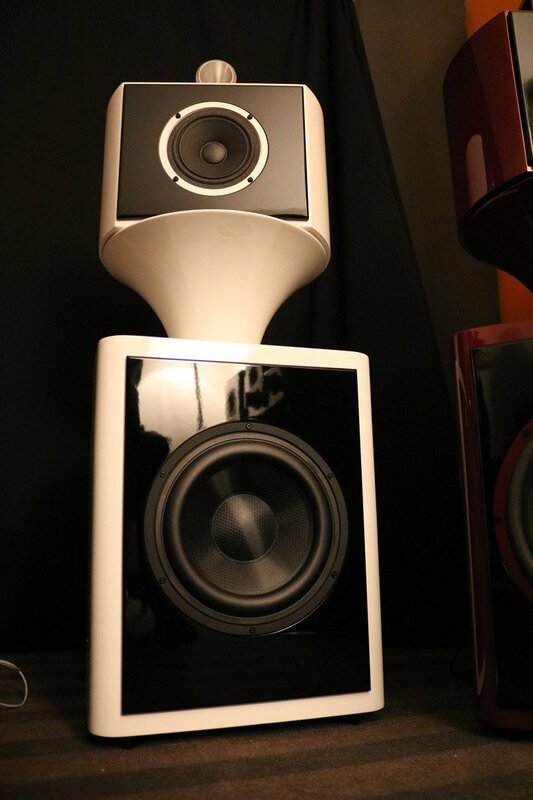 Tonsil is a new name in audio to me. 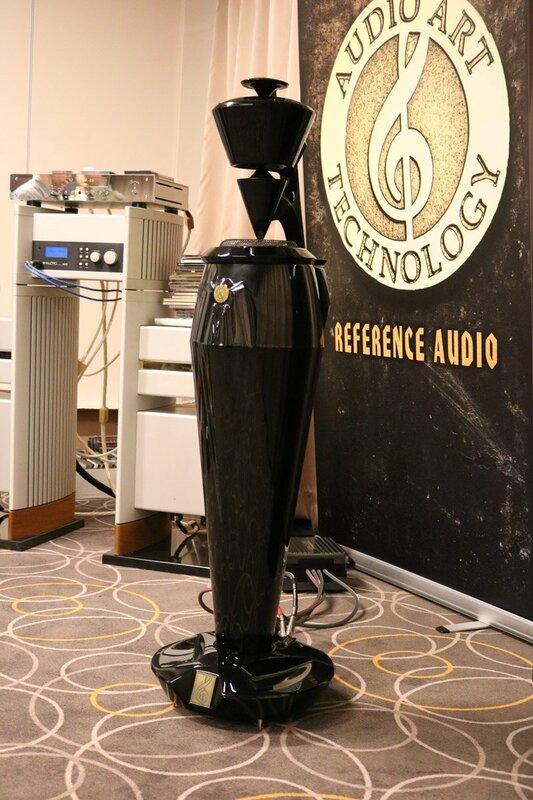 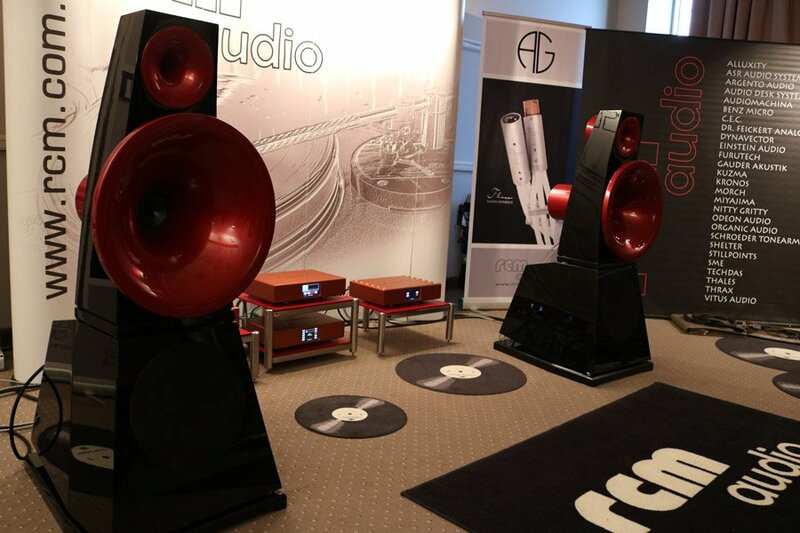 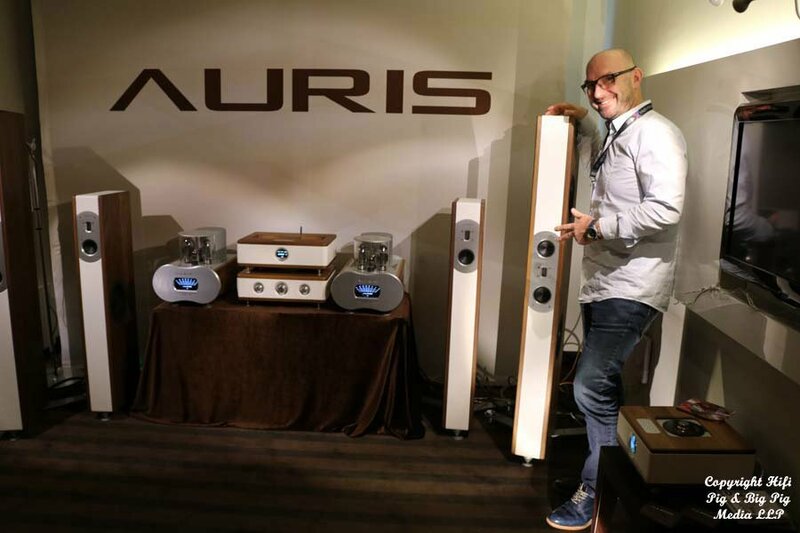 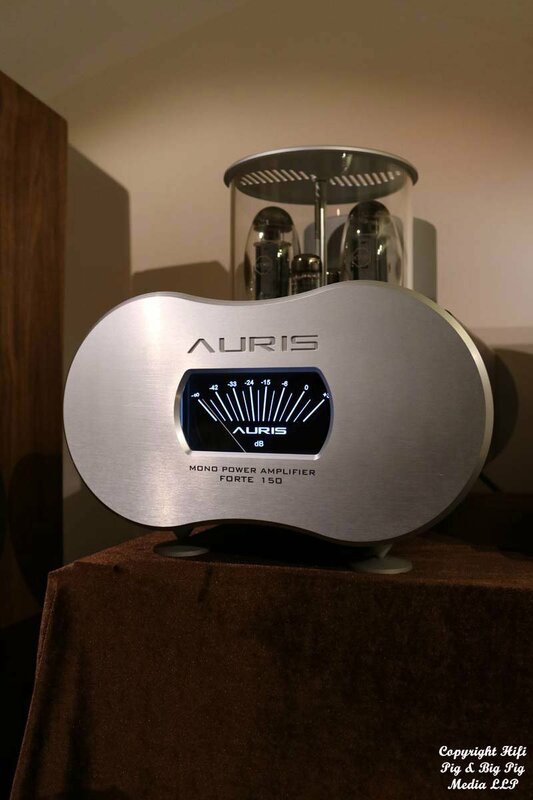 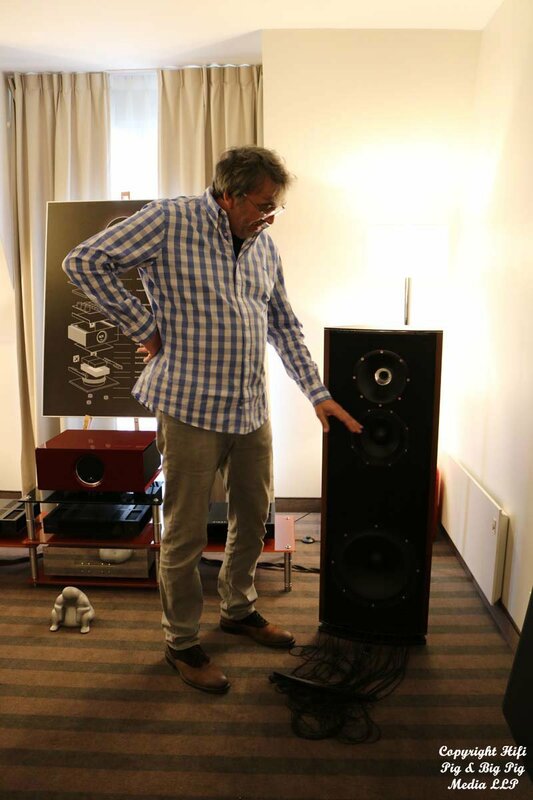 The speakers are their new Altus 380 which are hand made in Poland. 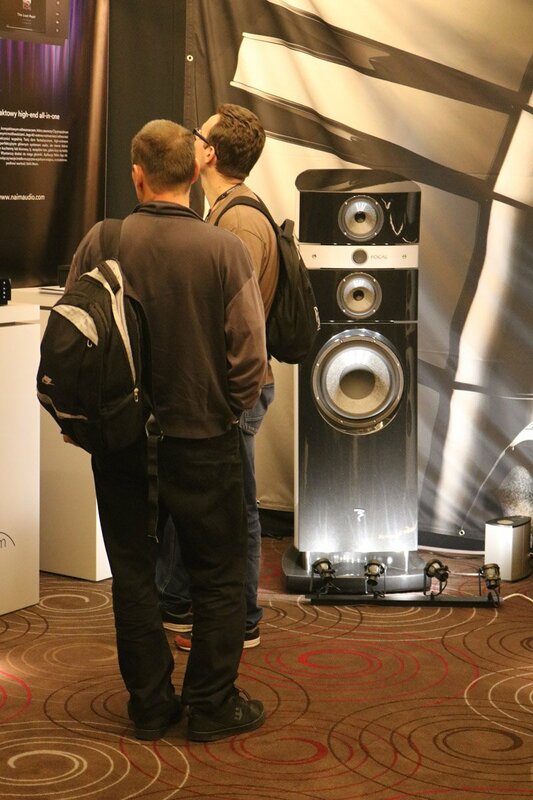 The electronics in the photographs are by Haiku Audio which, despite the name, are also based in Poland. 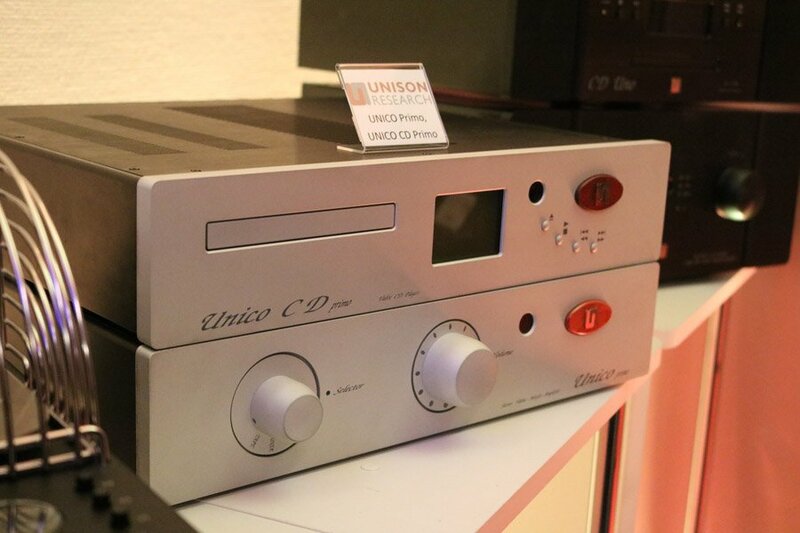 Italian brand Unison Research were well represented at the Warsaw Show. 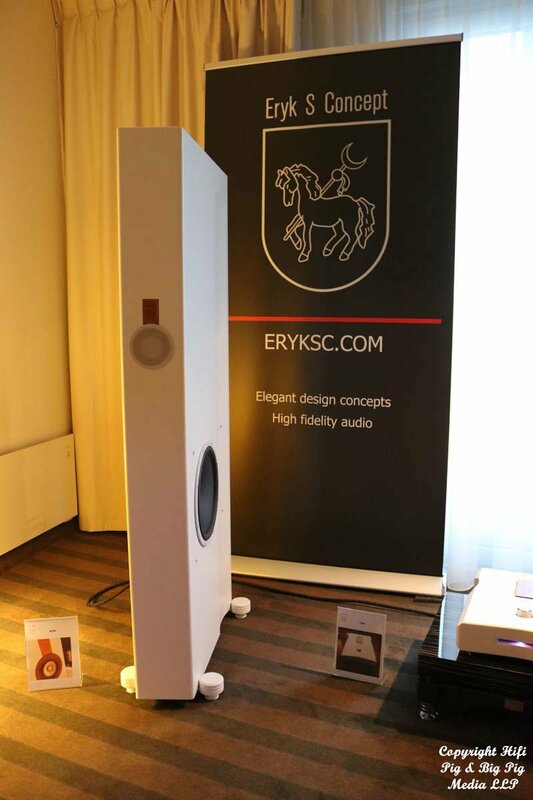 Eryk S Concept’s room sounded very good indeed. 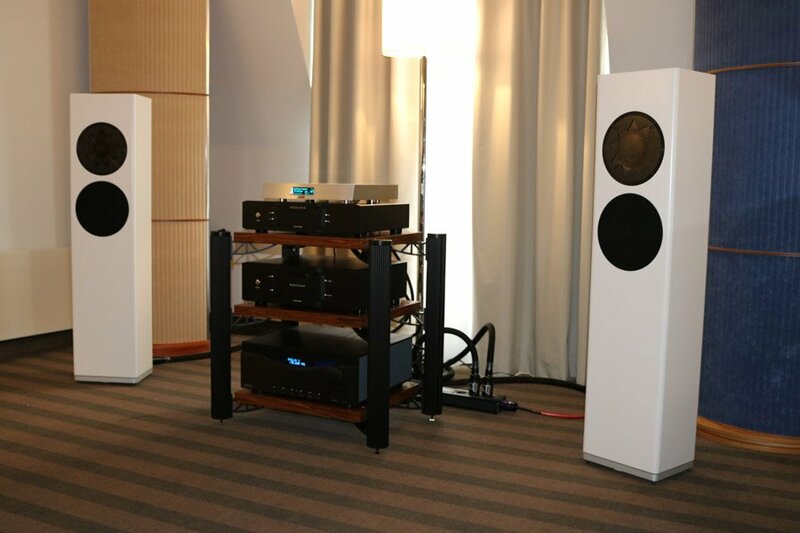 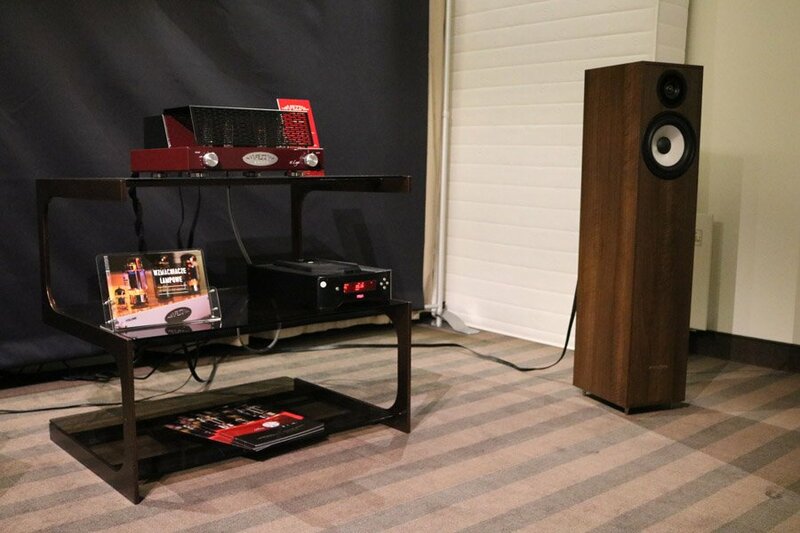 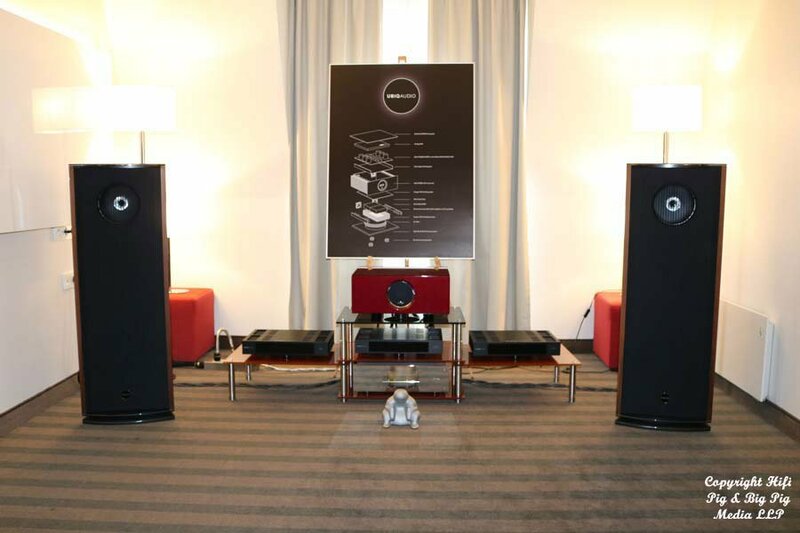 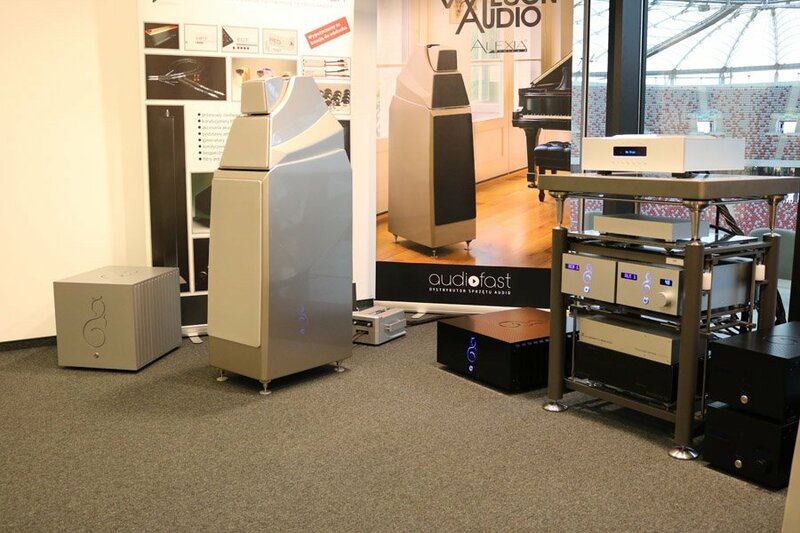 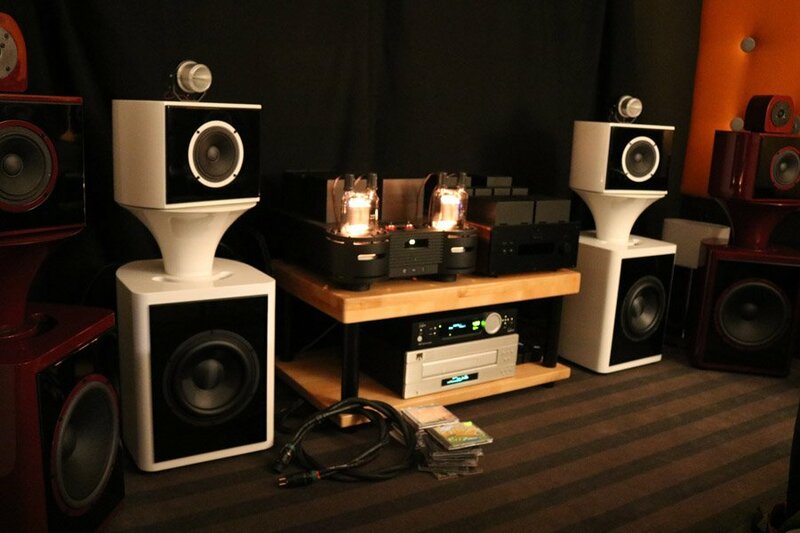 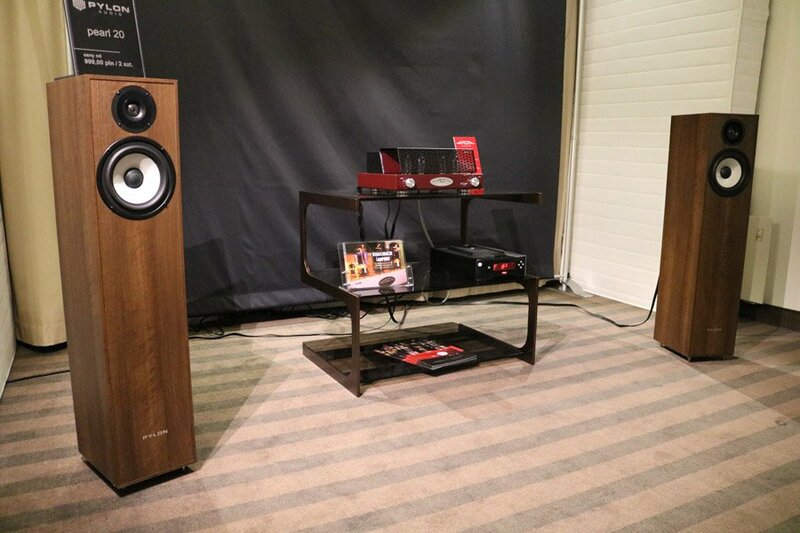 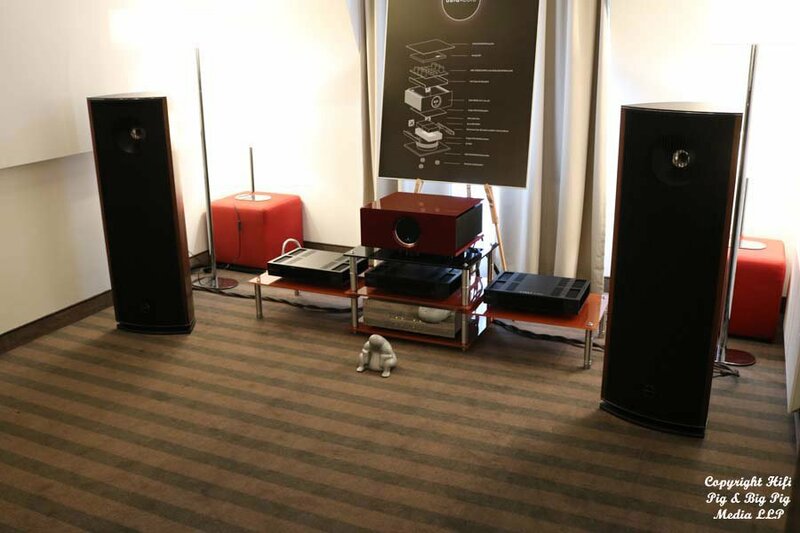 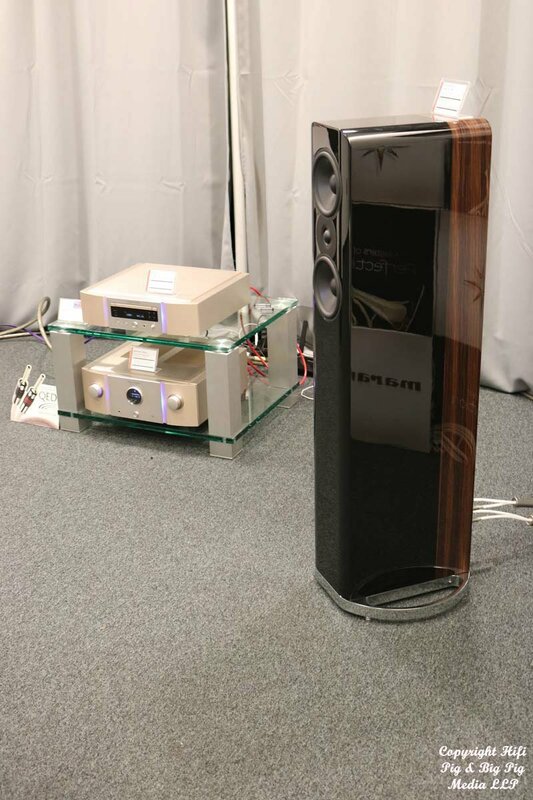 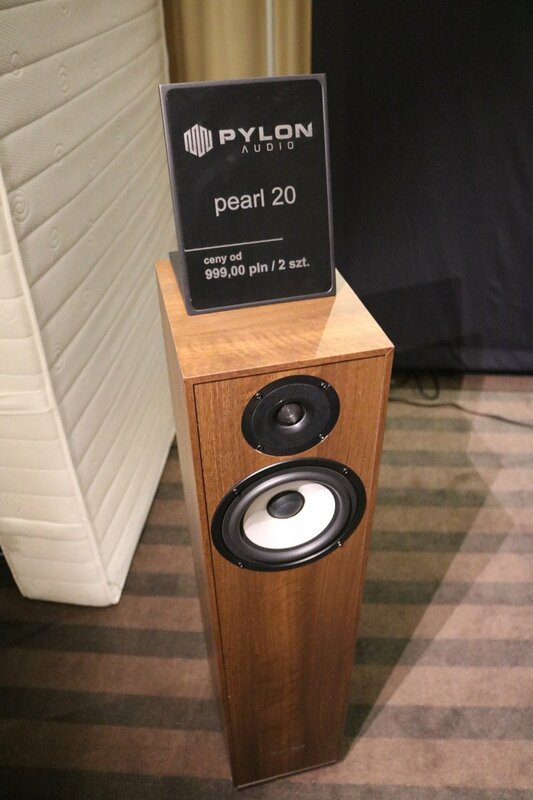 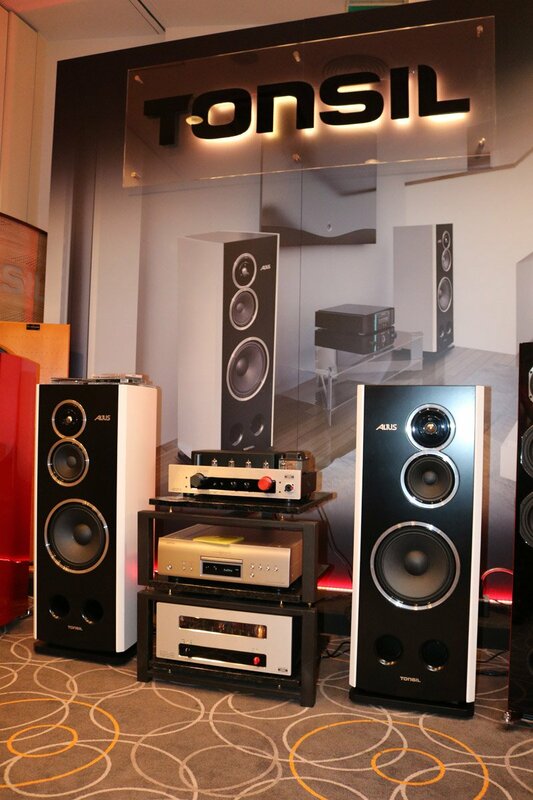 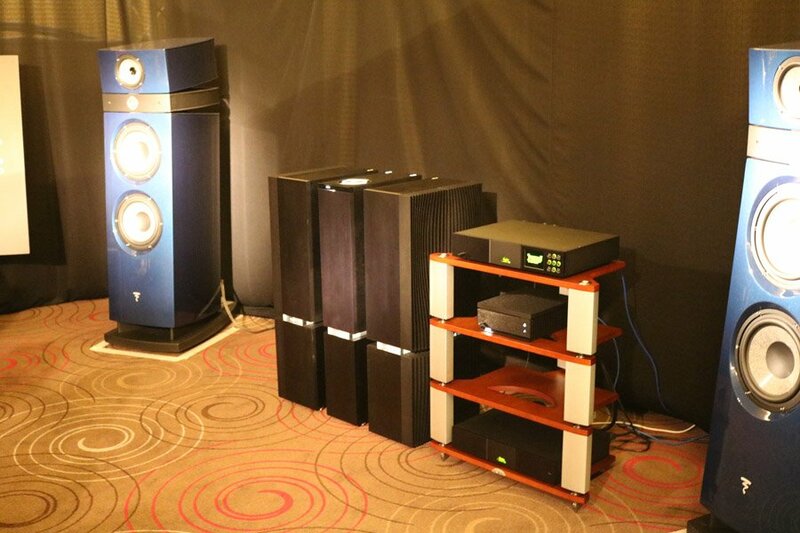 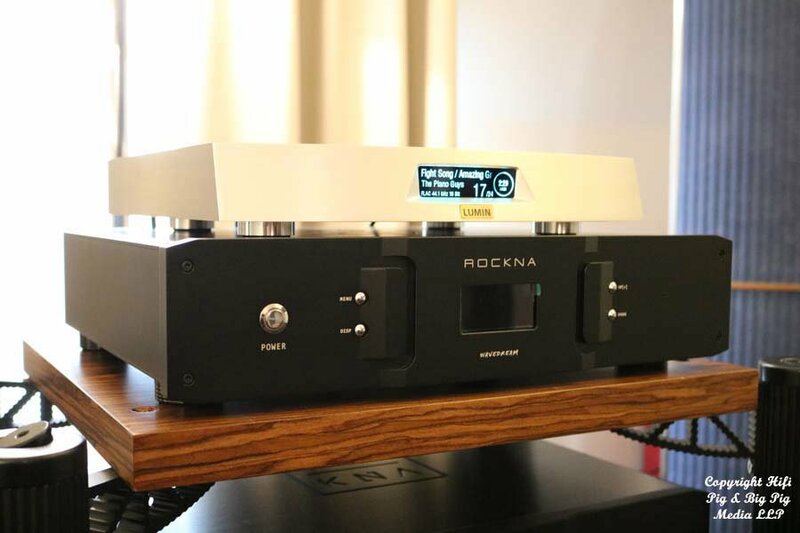 Pictured are the very elegant Wind loudspeakers and Fire digital amplifier.